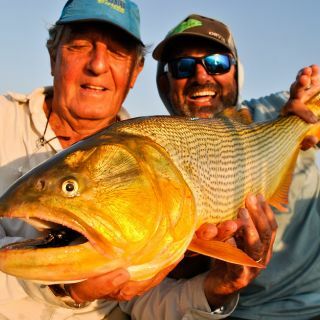 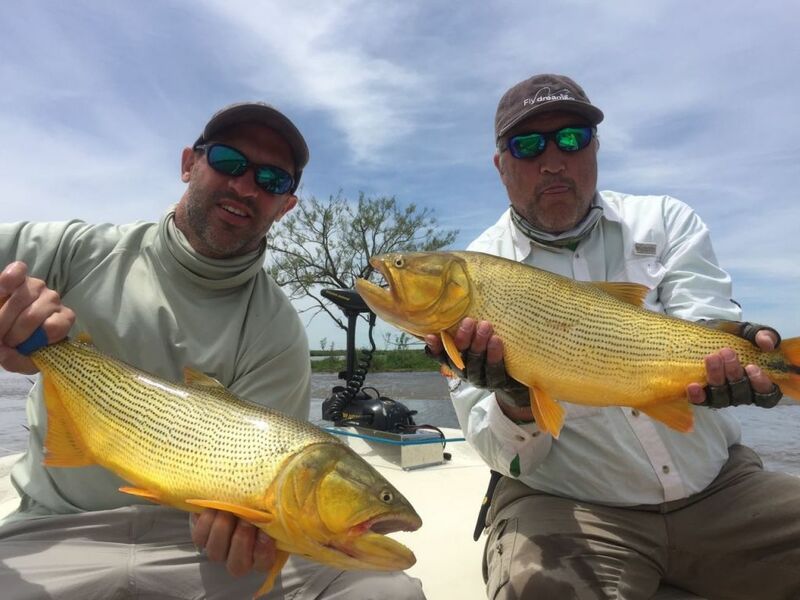 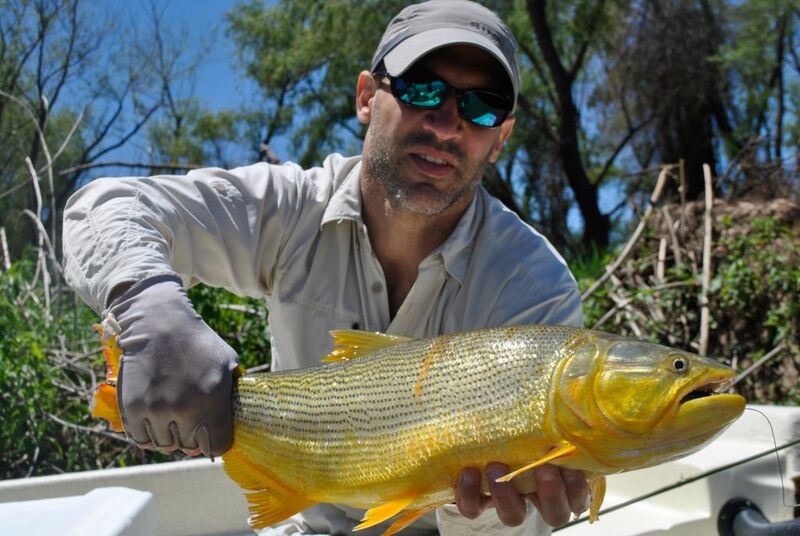 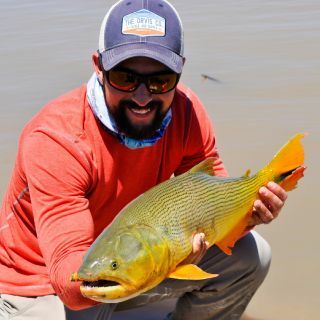 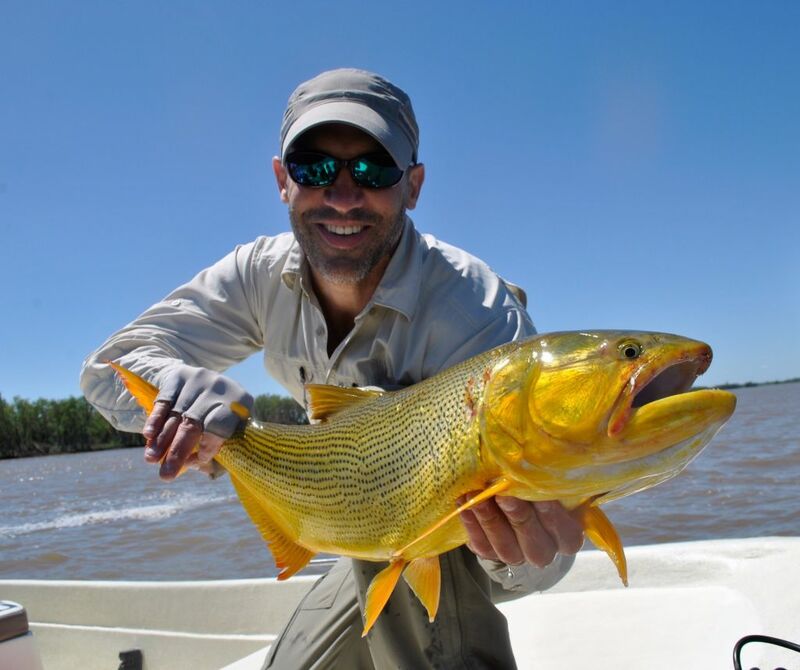 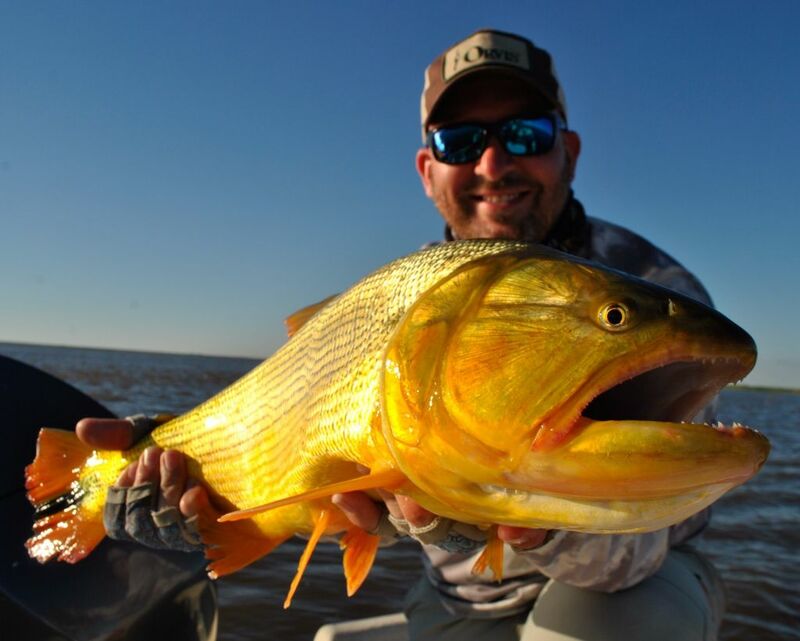 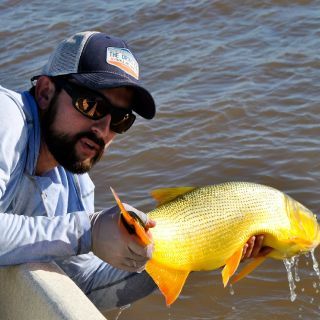 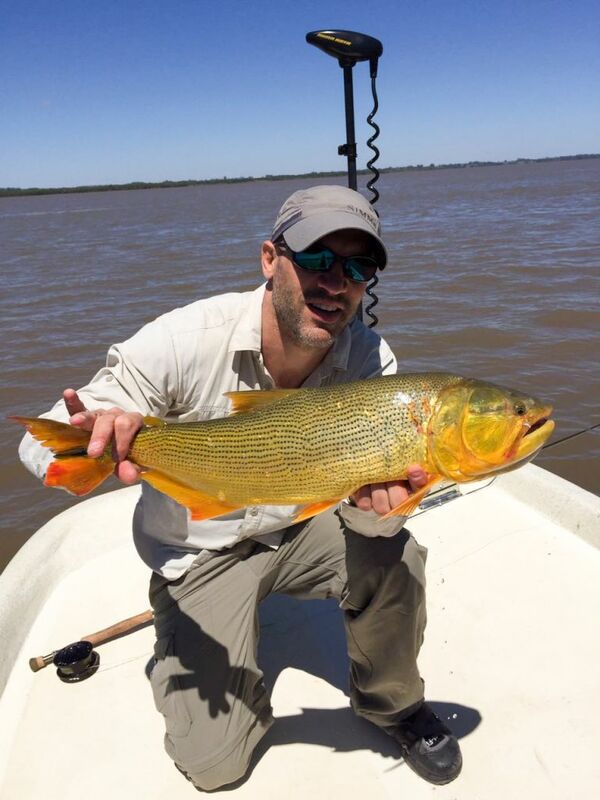 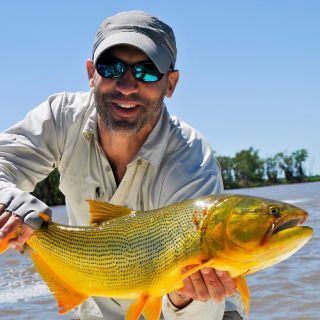 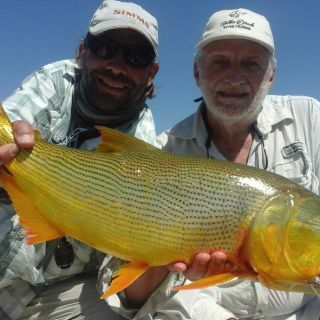 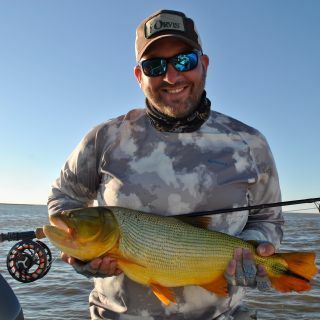 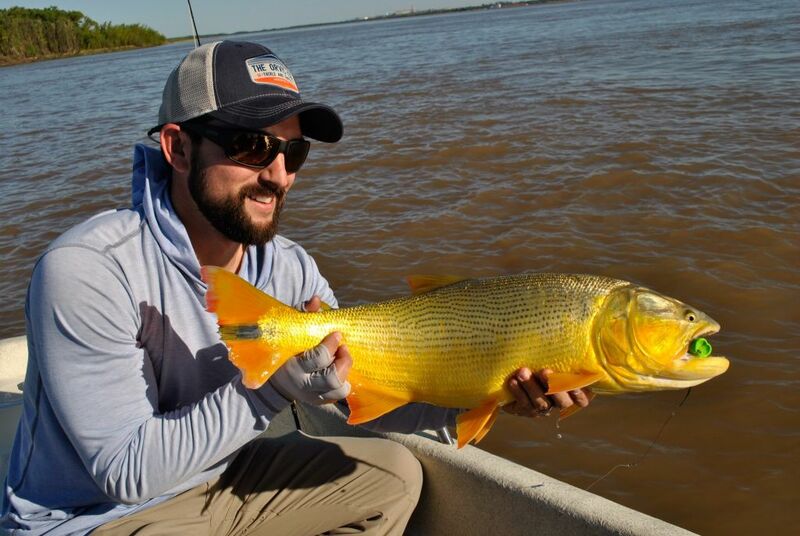 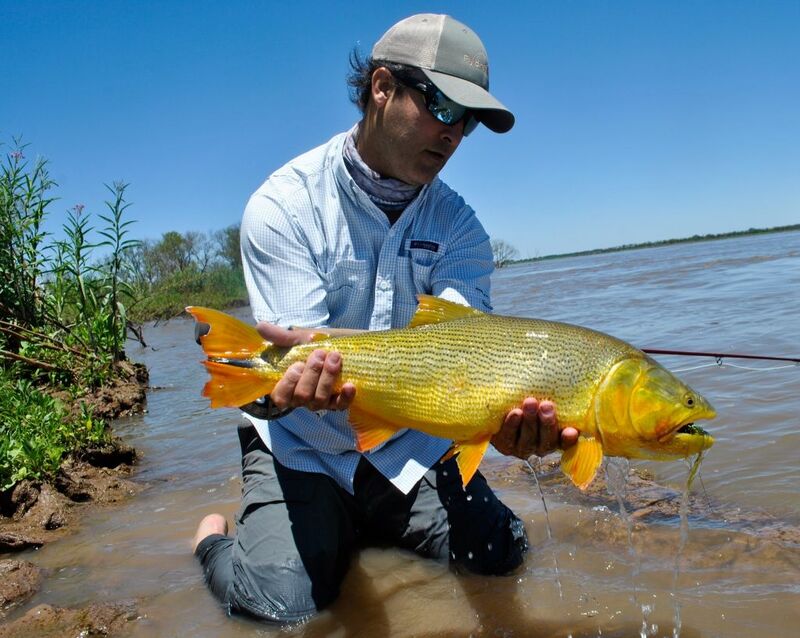 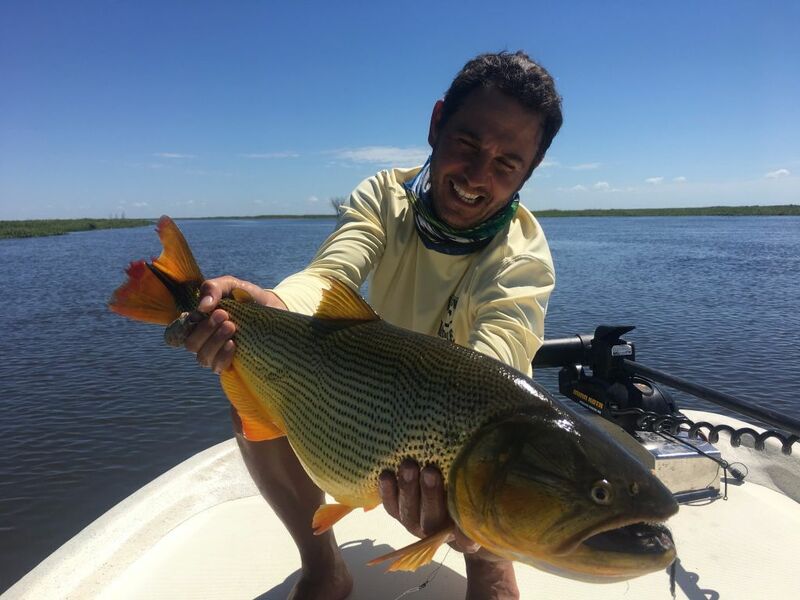 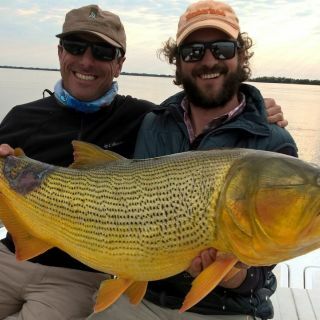 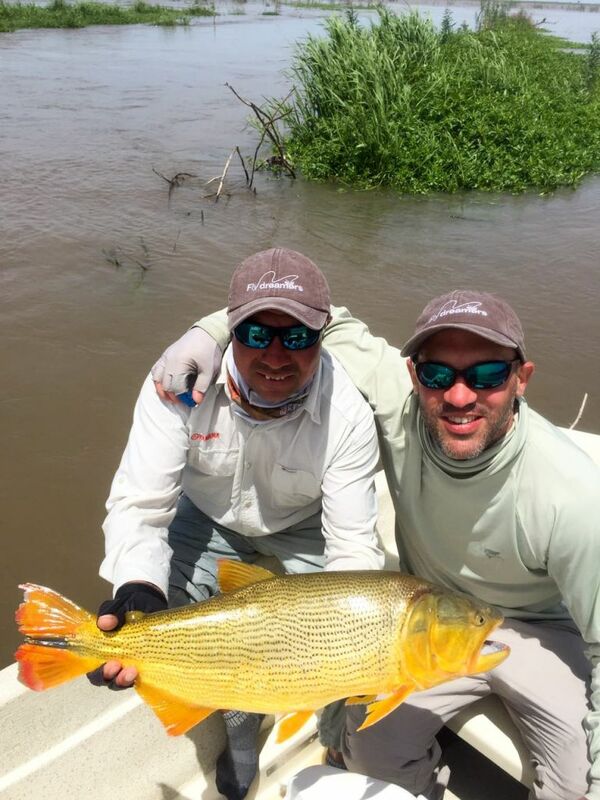 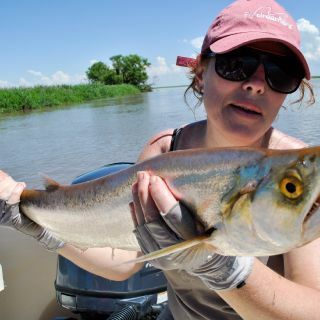 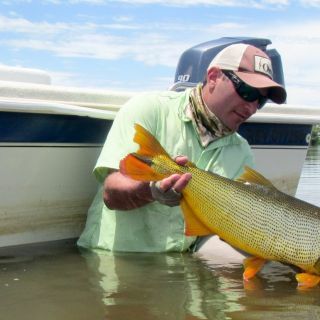 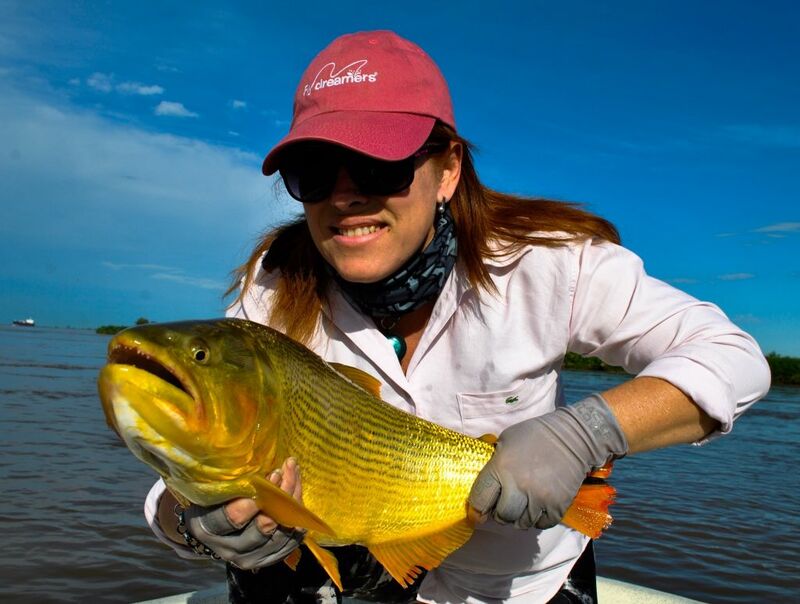 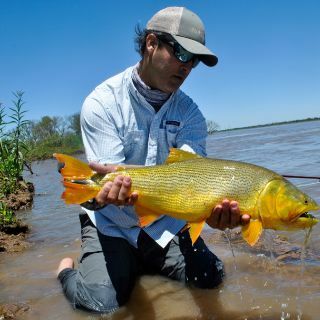 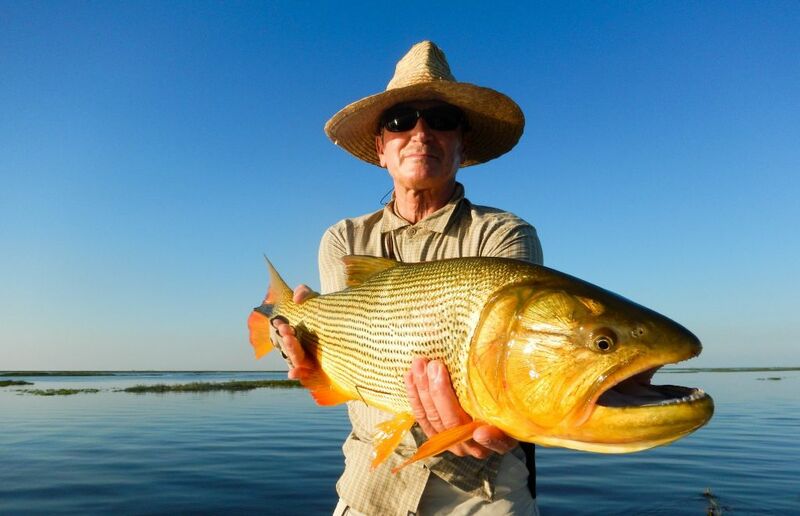 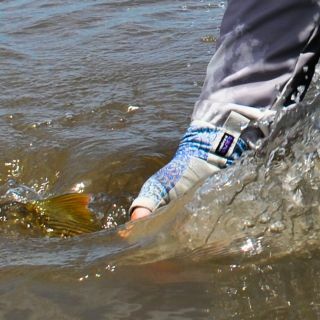 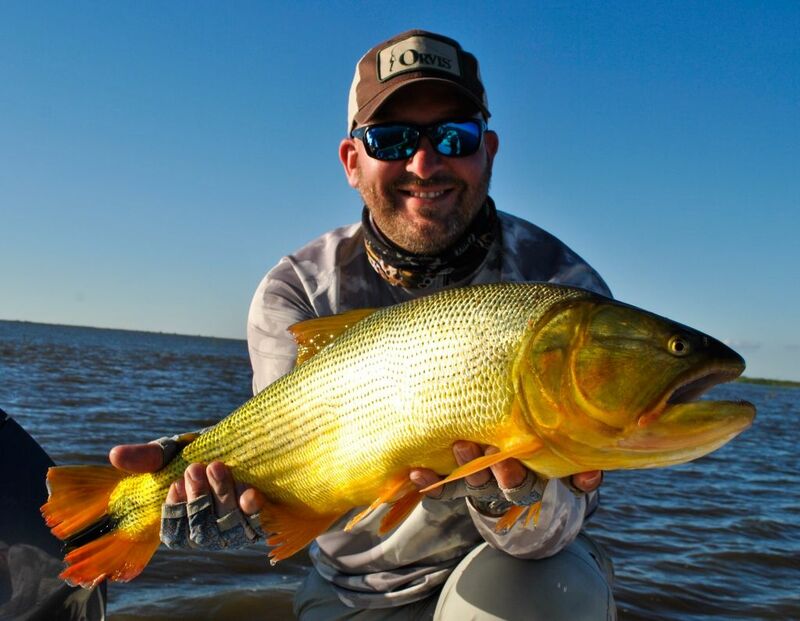 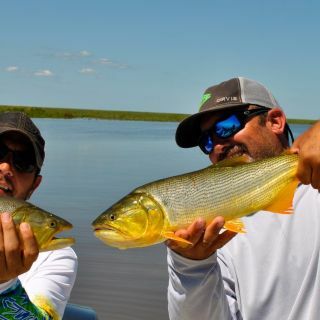 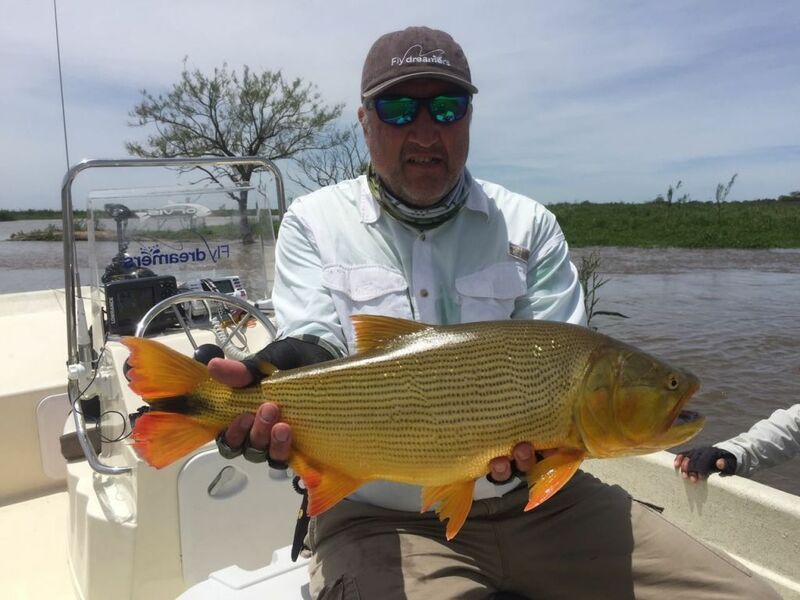 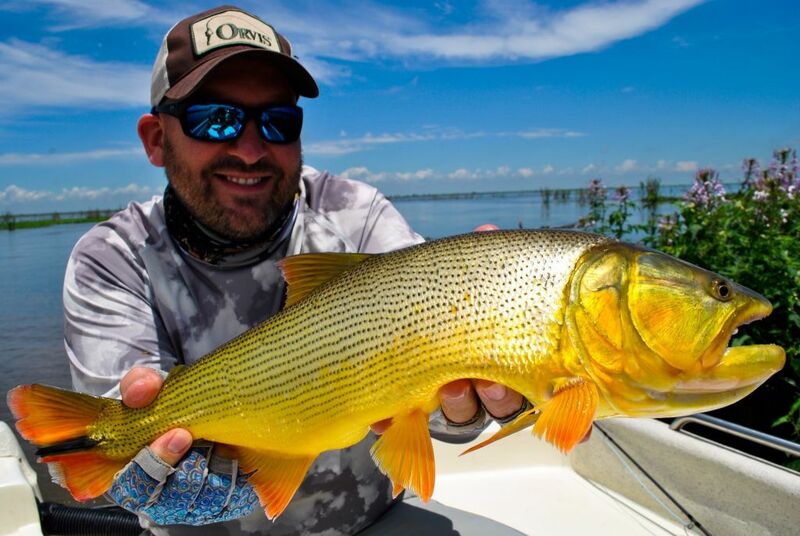 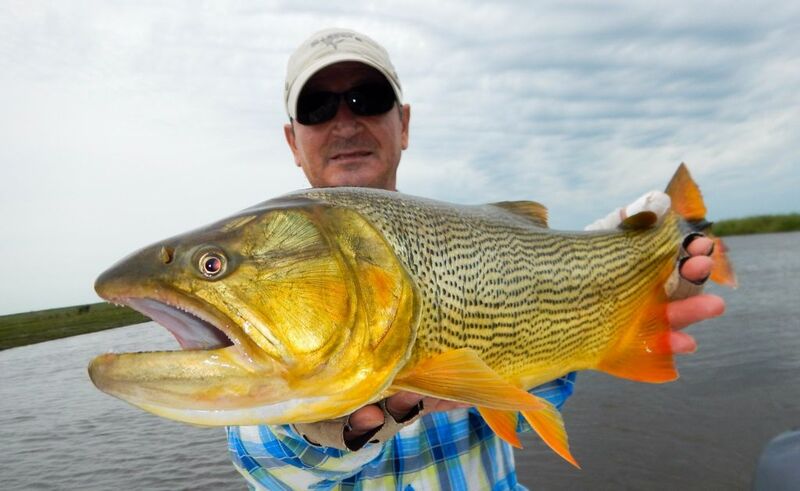 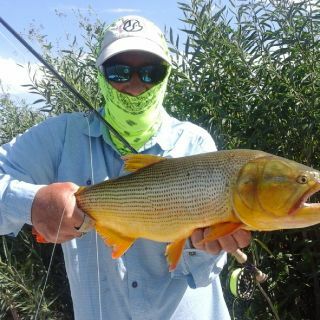 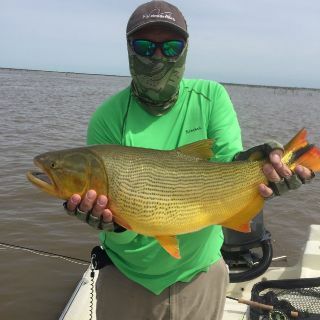 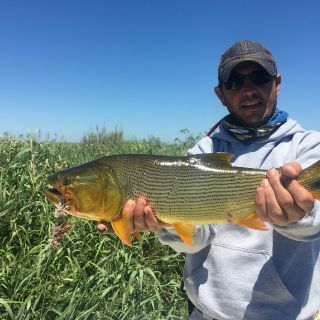 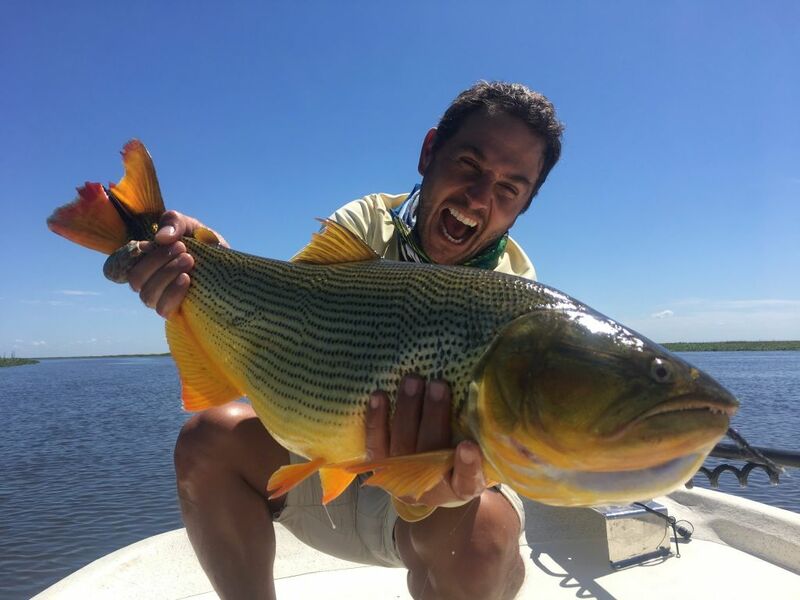 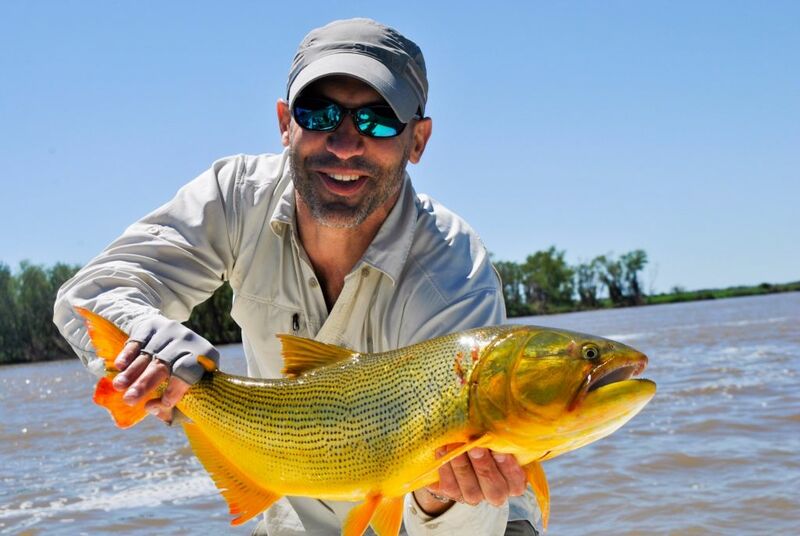 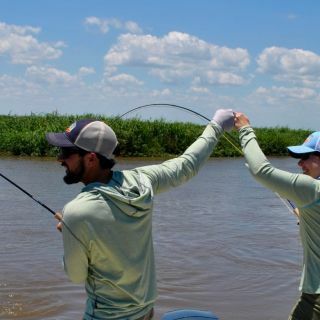 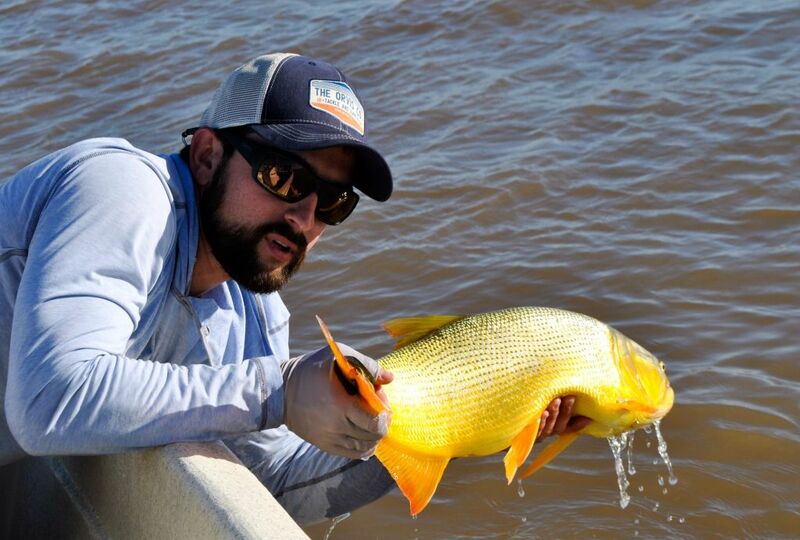 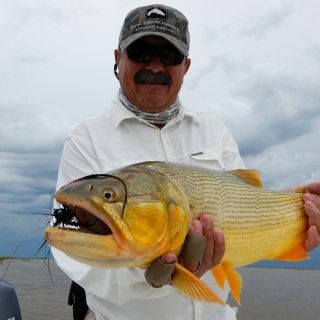 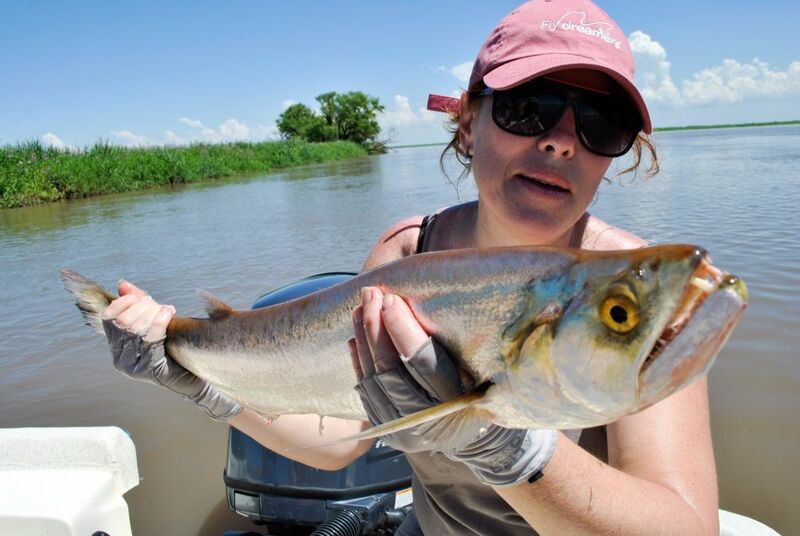 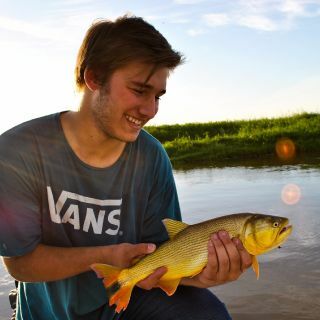 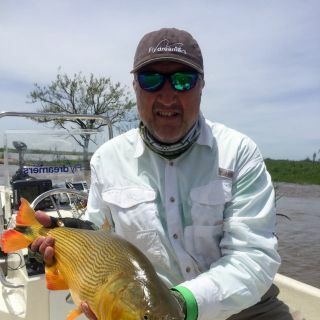 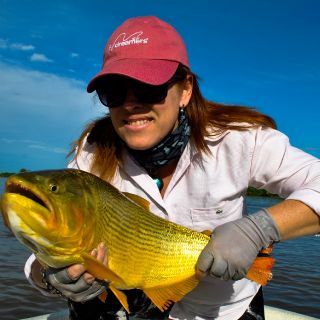 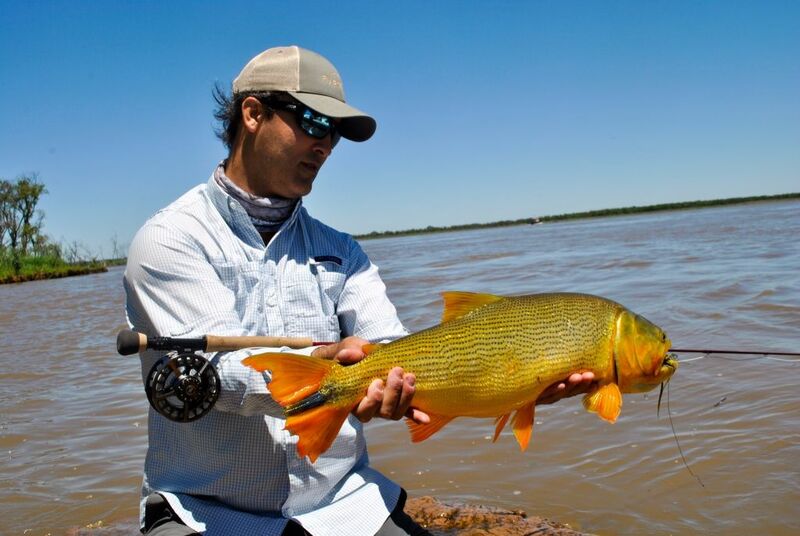 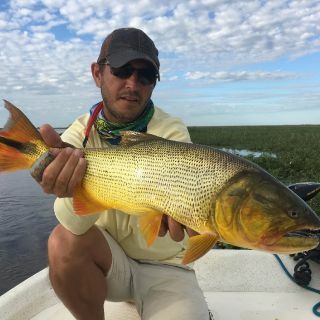 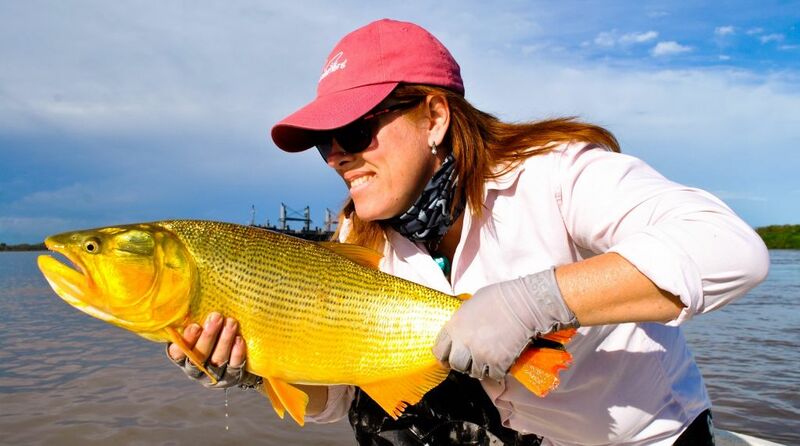 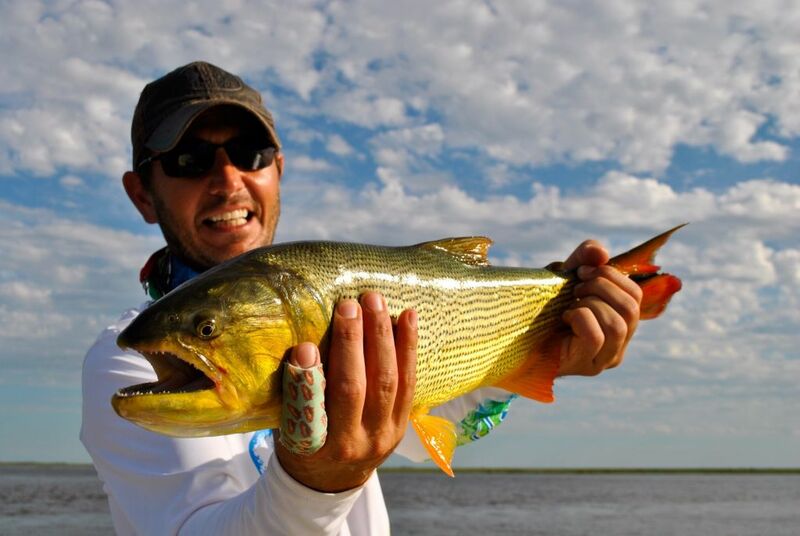 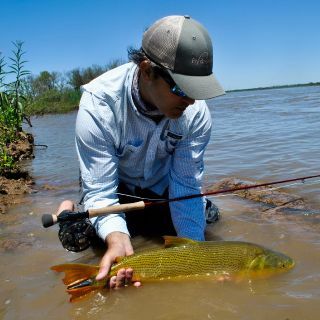 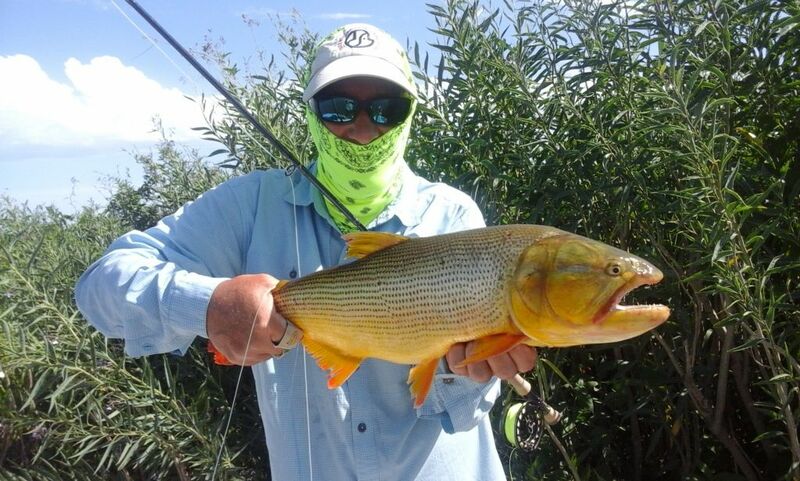 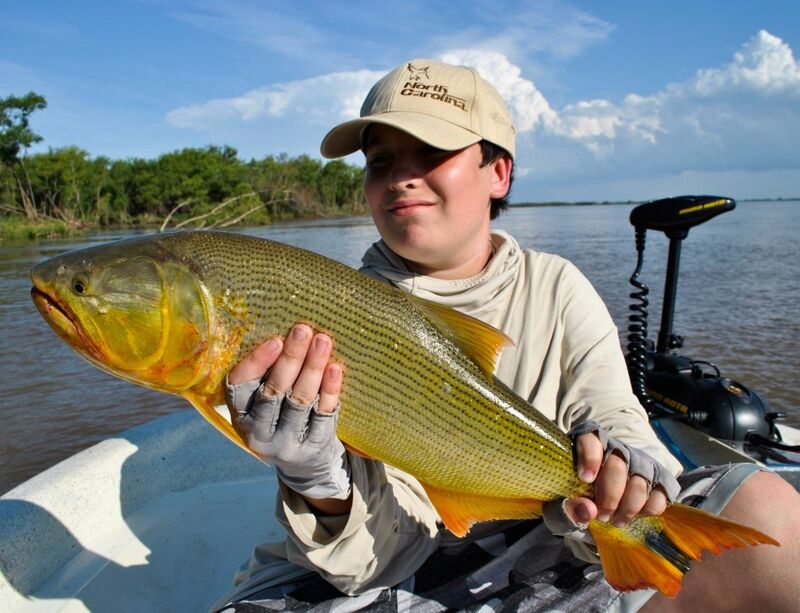 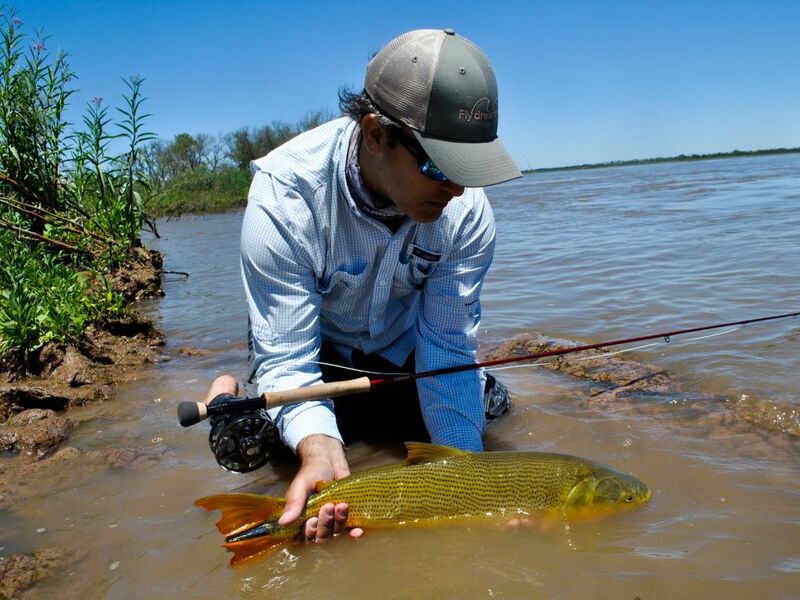 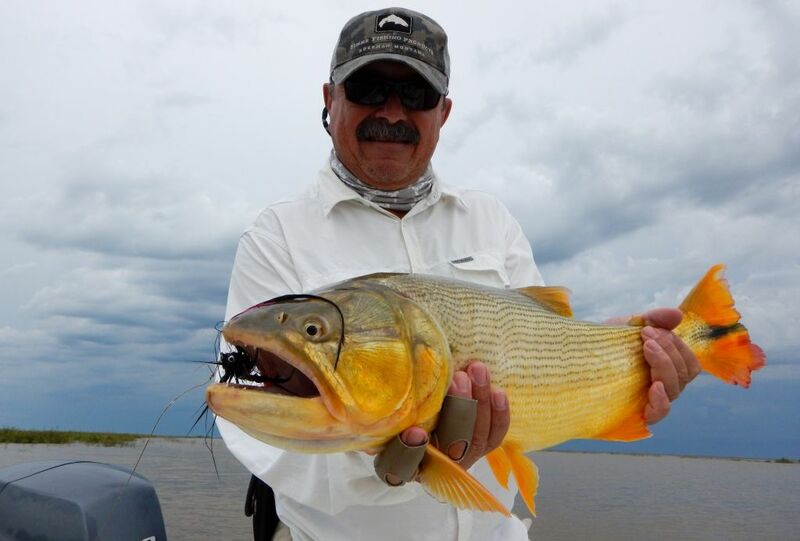 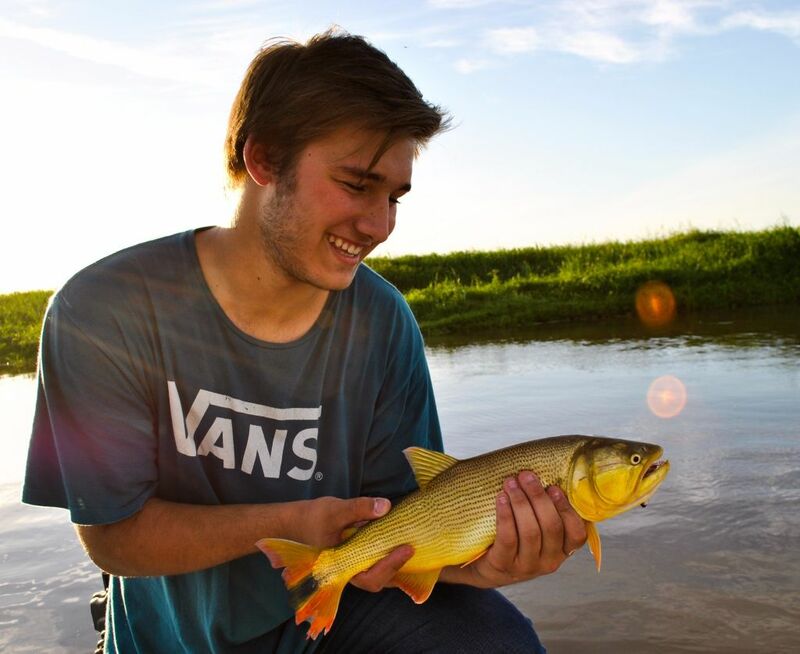 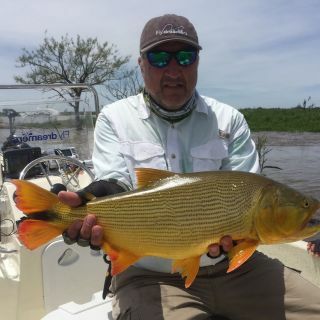 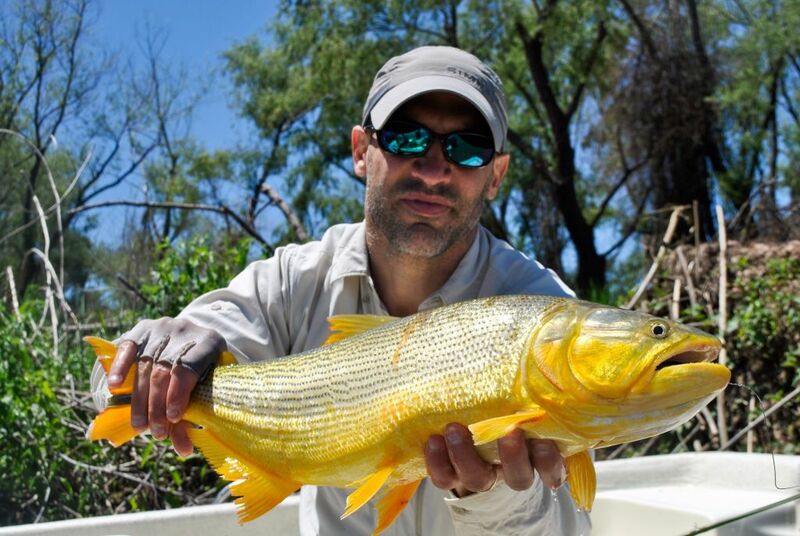 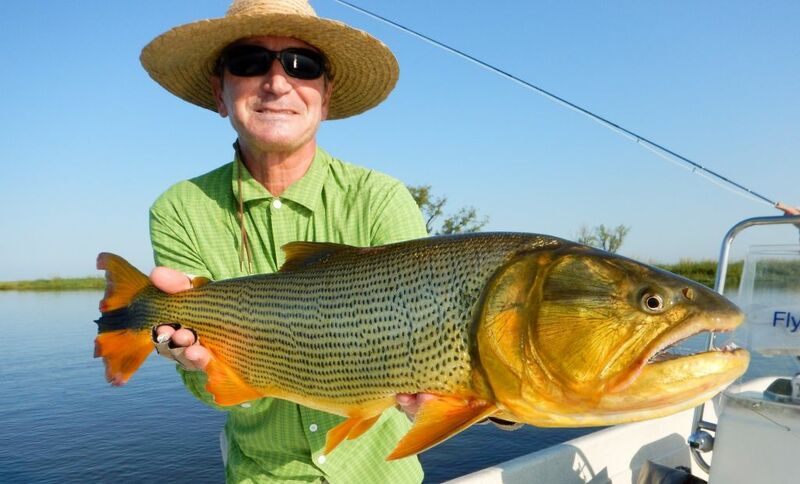 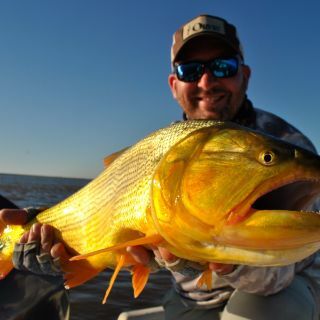 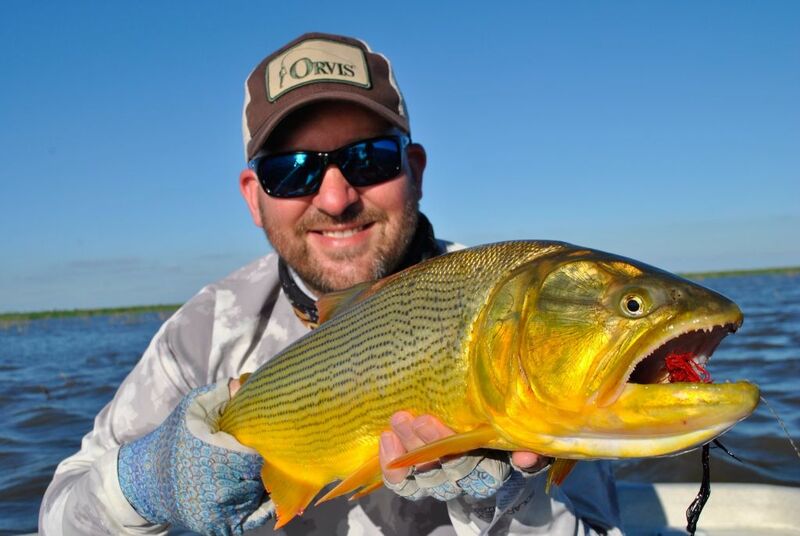 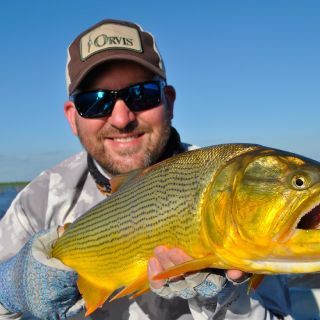 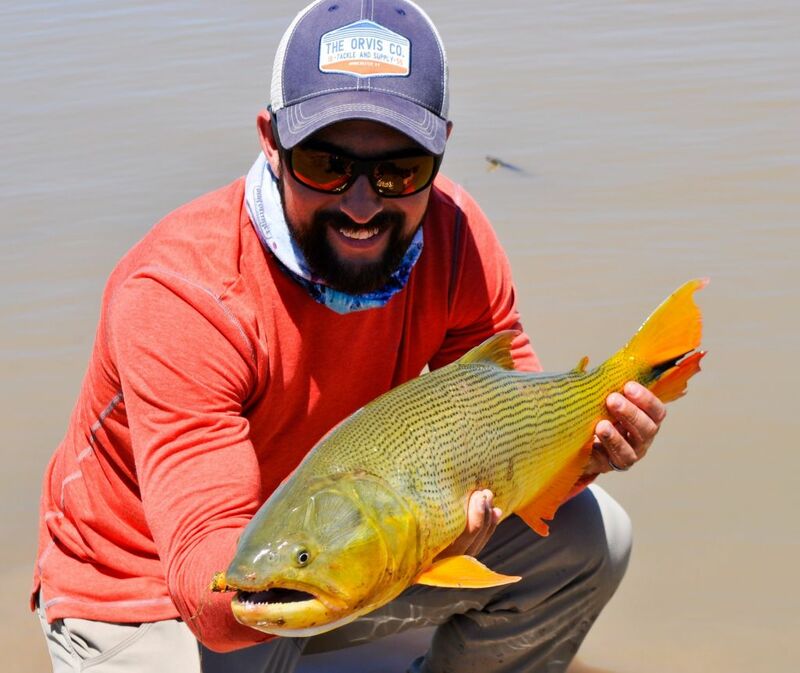 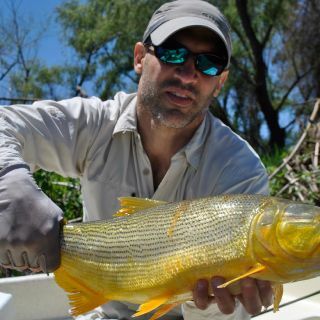 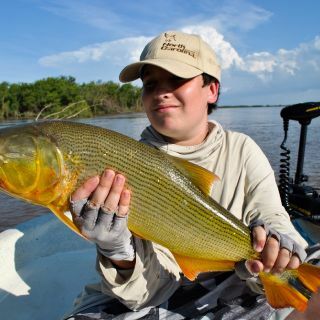 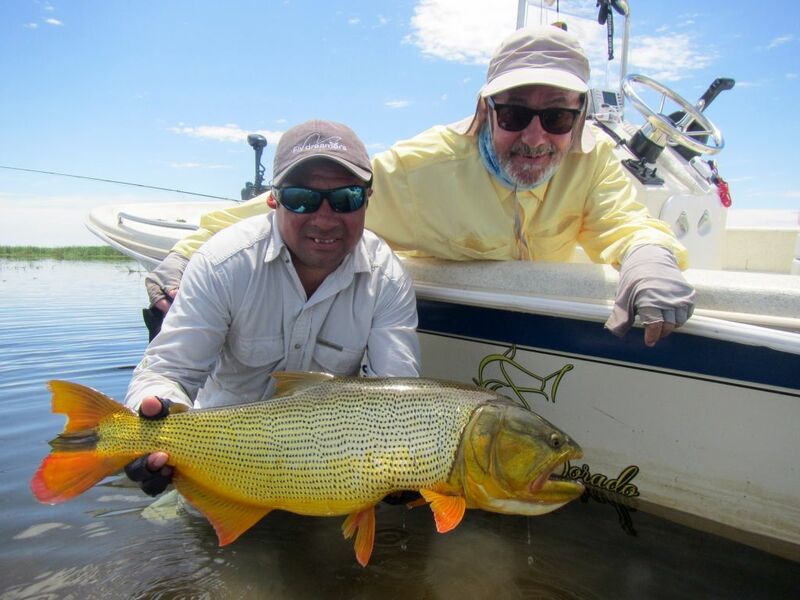 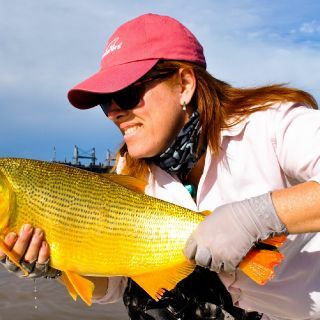 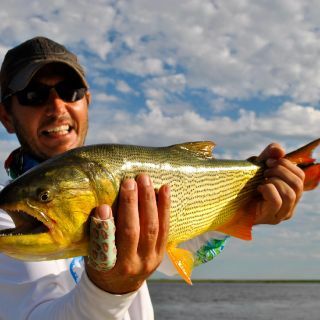 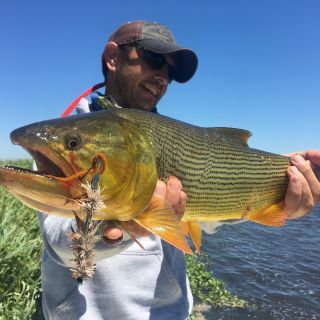 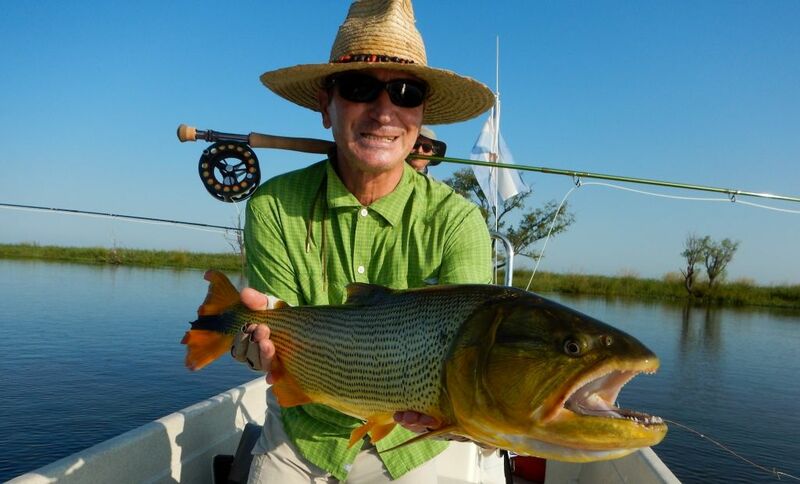 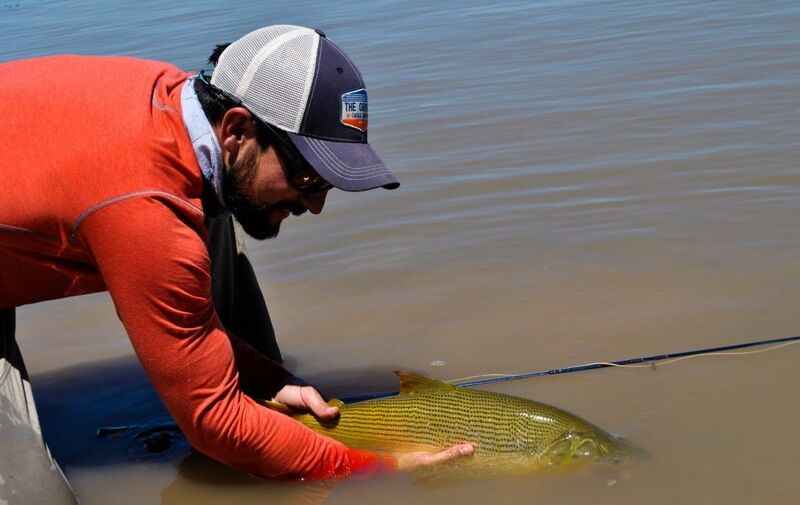 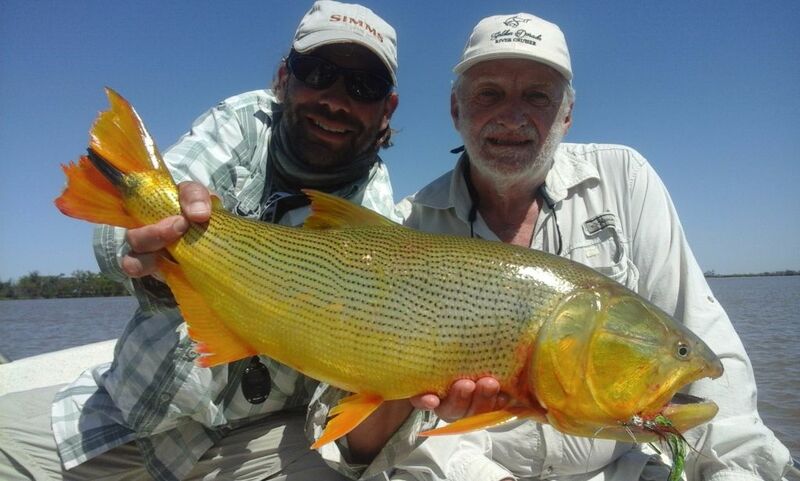 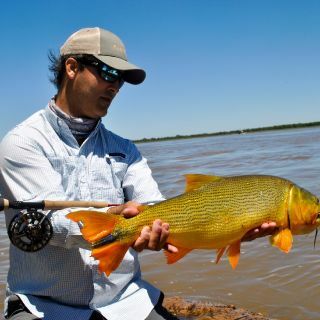 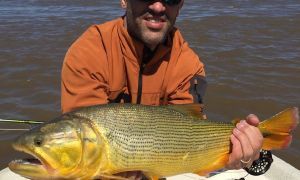 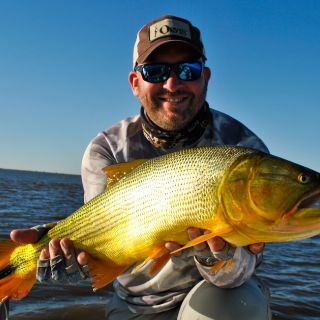 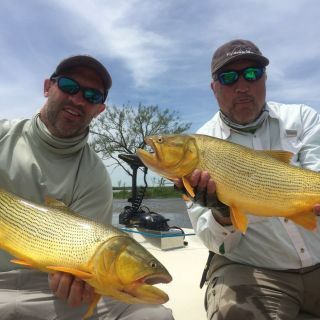 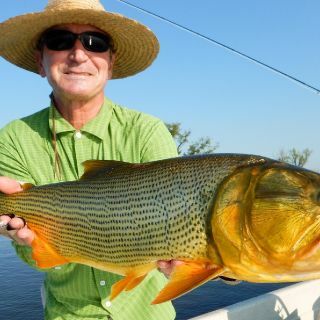 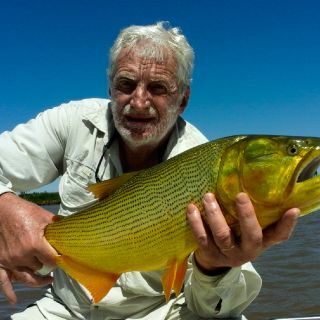 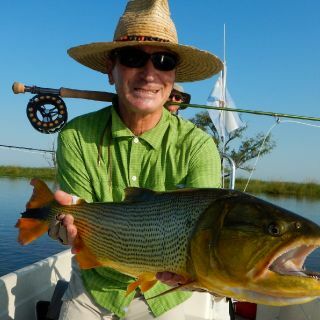 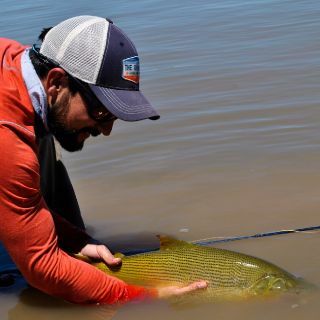 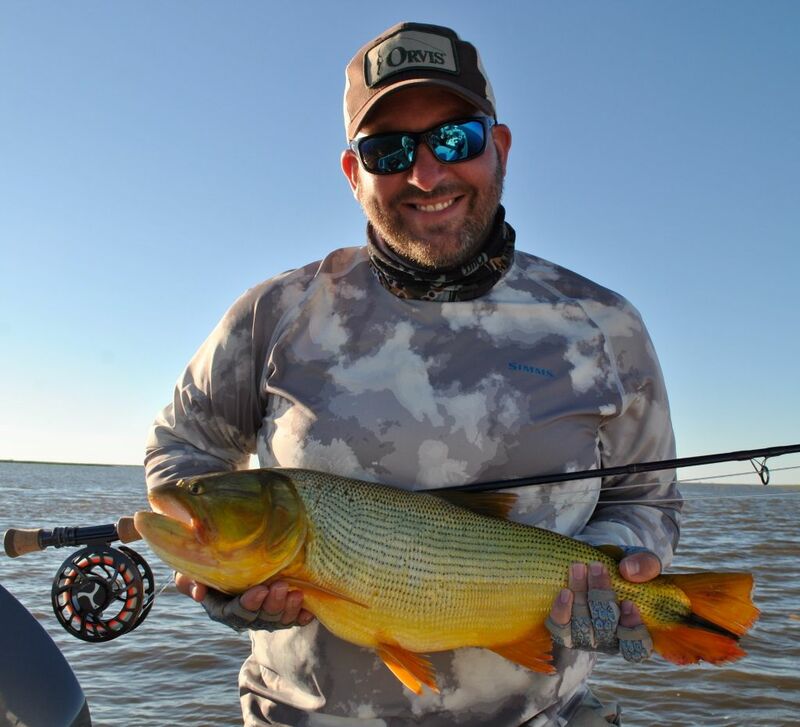 Golden Dorado River Cruiser is the first "mother shp" fishing operation in Argentina, providing the most exclusive set up and service, fishing the best waters during the best times, due to its mobility. 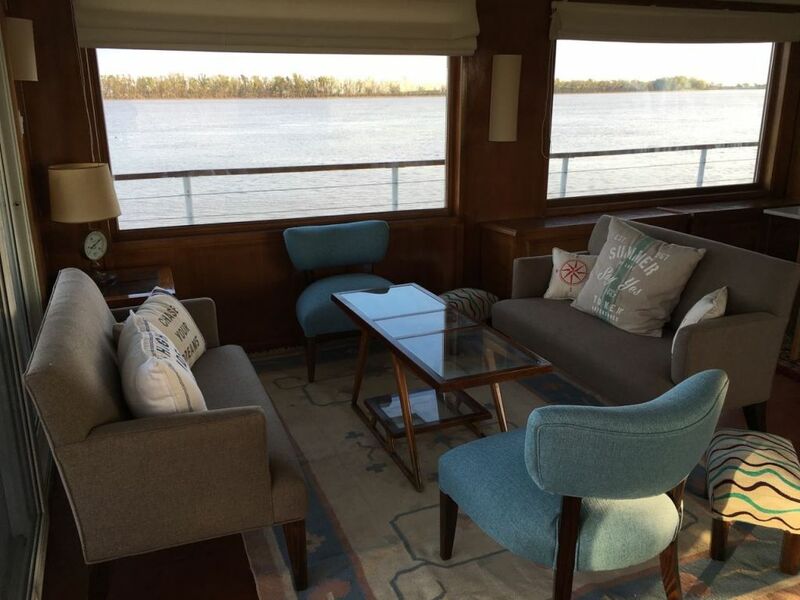 The Paraná Gipsy live aboard ship provides world class cuisine, personally selected wines of the best regions of Argenitna. 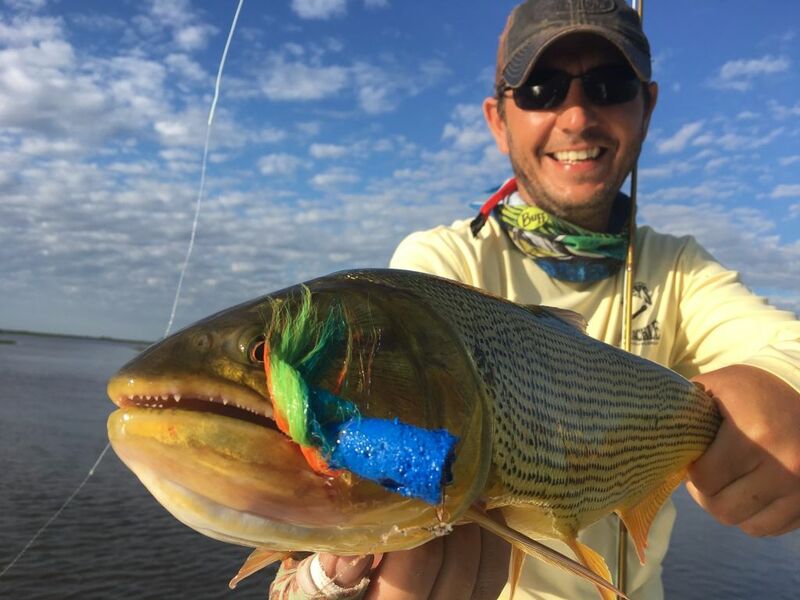 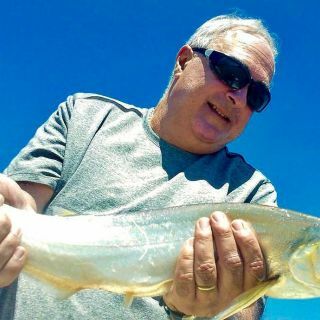 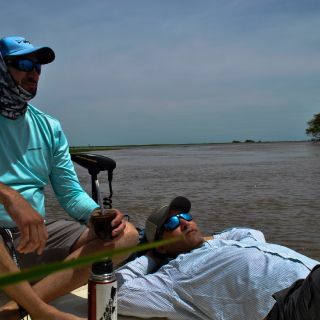 Non fishing guests are welcomed, and this is a perfect program to combine fishing along with other great activities, like birdwatching and ecotourism. 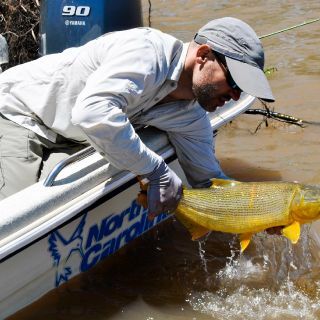 Fishing is done from North Carolina skiffs (double casting platform), with Yamaha 90 HP four stroke engines, with remote operated electric engines, to fish one guide every two anglers and boat, accessing with ease, the fantastic waters where the mother ship is positioned, minimazing the travelling time, which can be a problem with land based operations. 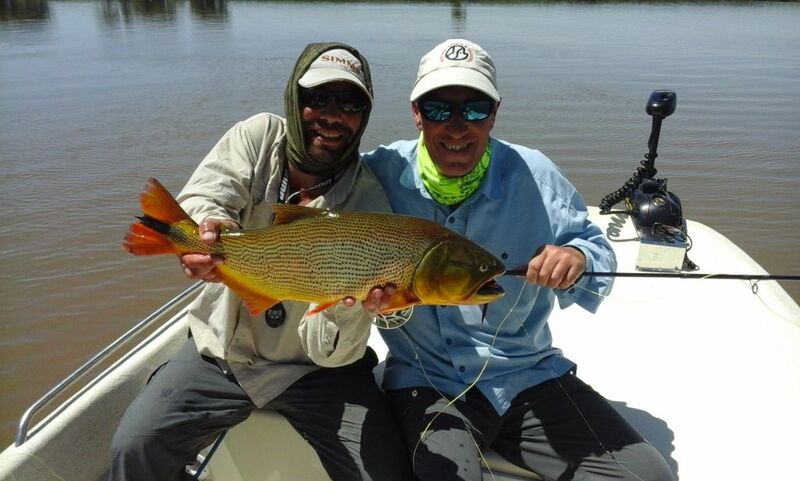 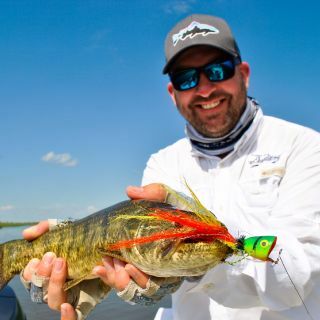 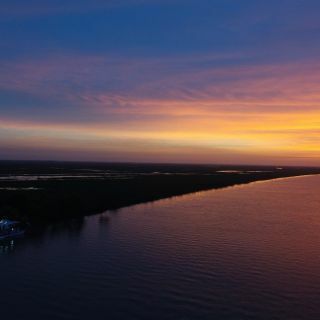 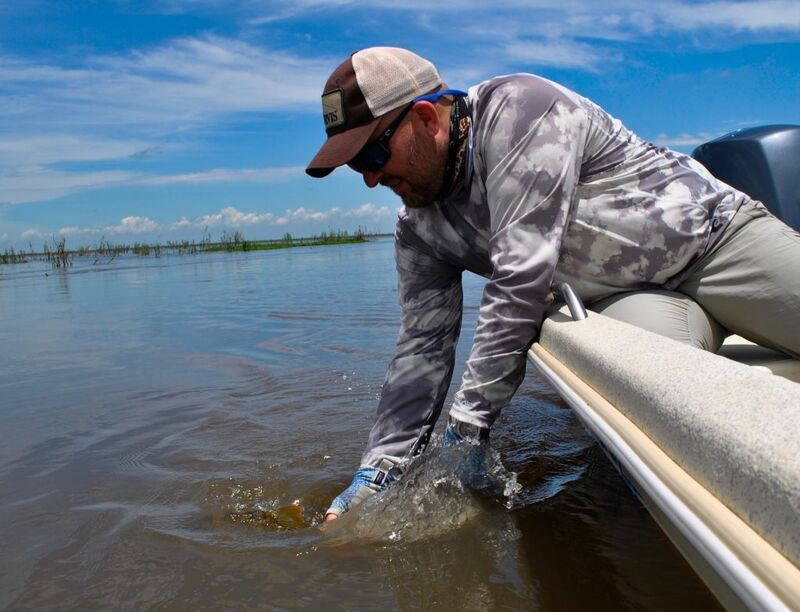 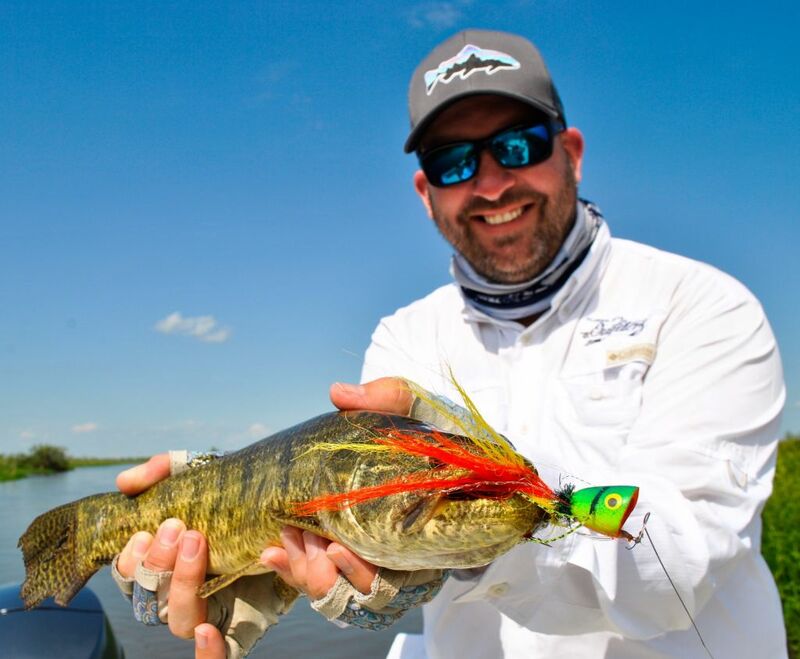 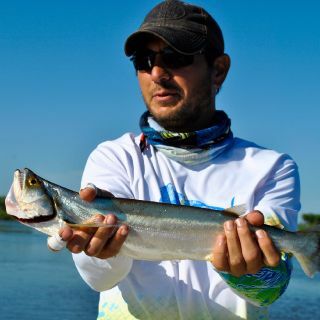 The Paraná Gipsy moves according to seasons, water levels, fishing conditions, etc, etc, providing the best fishing in the best locations at all times. 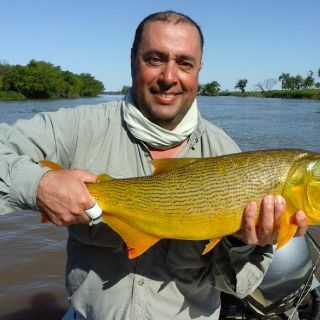 Marcelo Morales me recomendó ir a pescar al Gipsy. 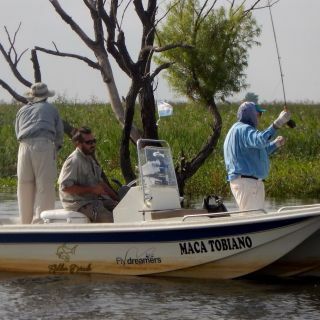 Conociendo previamente a Lucho y a Beto Alba por Laguna Verde en Strobel, no dude en que la operación iba a ser impecable. 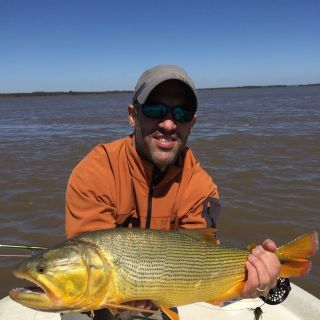 Así fue. 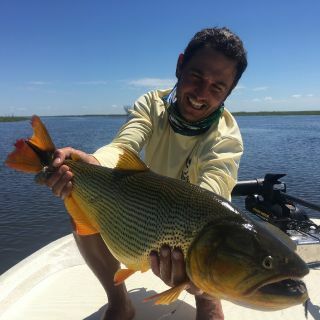 El Gipsy esta perfectamente adaptado a ser alojamiento de pescadores. 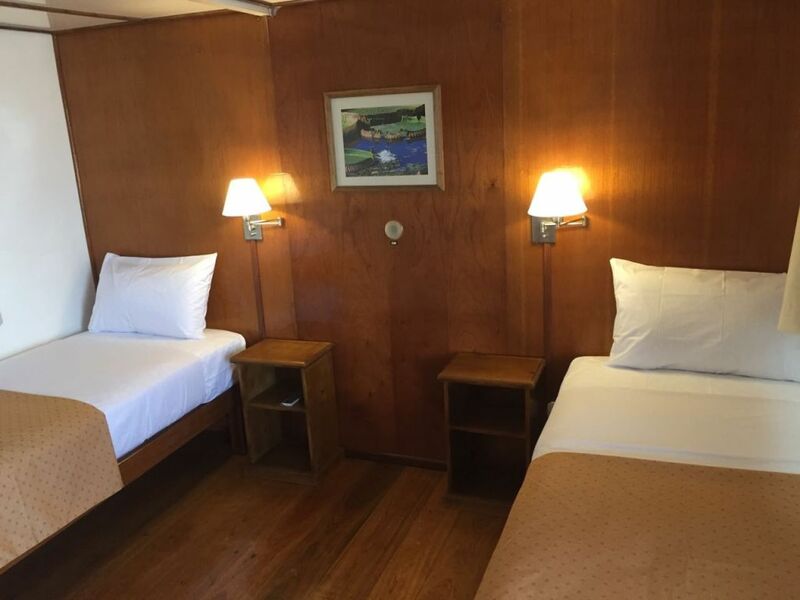 Habitaciones amplias y completamente equipadas (AA, TY, ventilador, mosquiteros,baño privado completo). 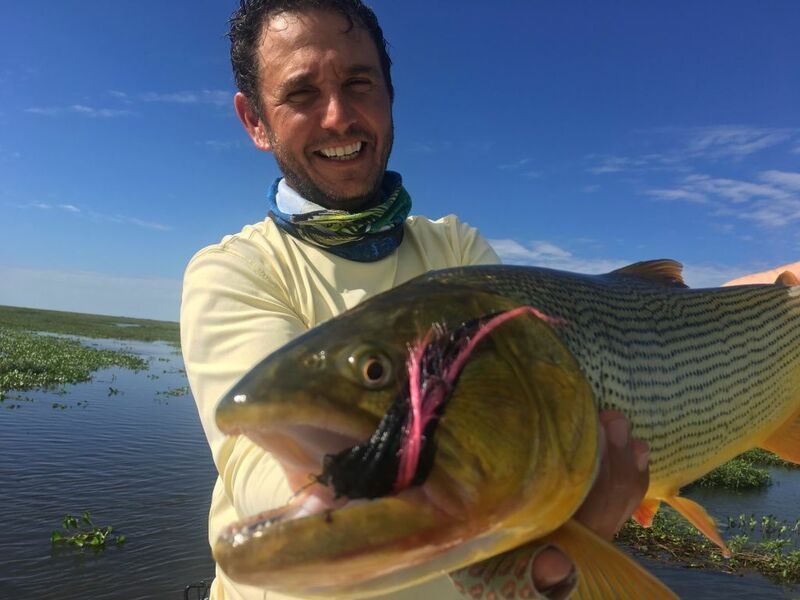 Las áreas comunes están perfectas. 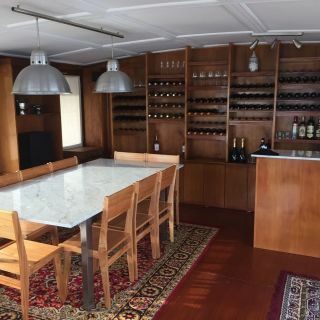 Gran living comedor, galería para tomar algo, parrilla, no le falta nada. 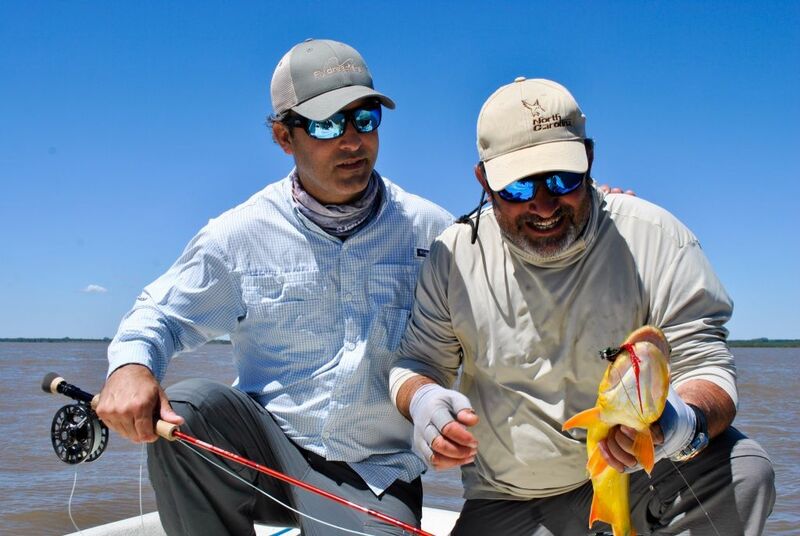 El equipamiento de pesca completísimo y perfecto. 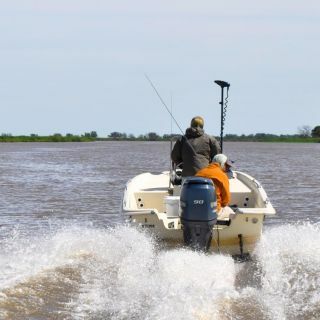 Las Carolina Skiff con motores de 90 HP de 4T son perfectas. 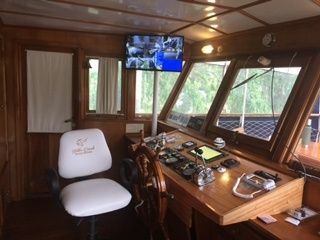 Están equipadas con radio, sonar y GPS, así que uno se siente seguro a bordo. 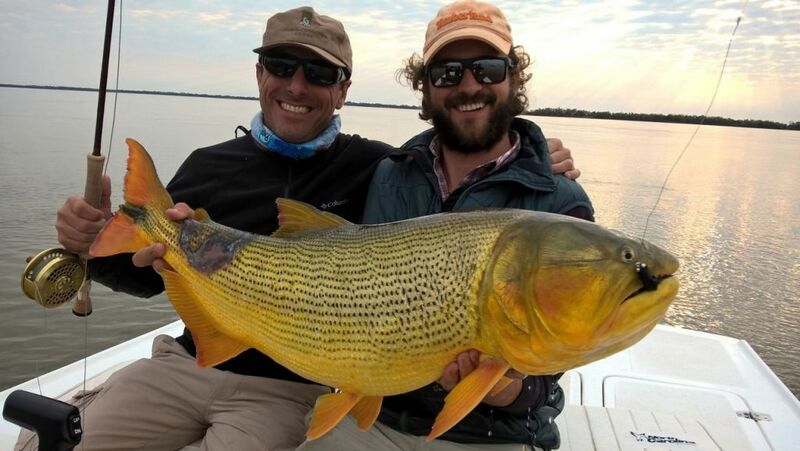 El equipo humano es superior. 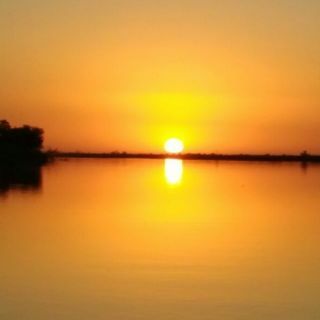 Los guías no solo son conocedores de su profesión, sino que son muy agradables y siempre dispuestos a hacer lo imposible para encontrar el pique. 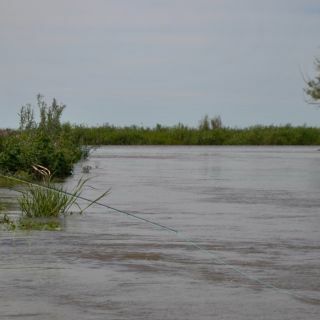 A mi me toco pescar con Tobi San Martin. 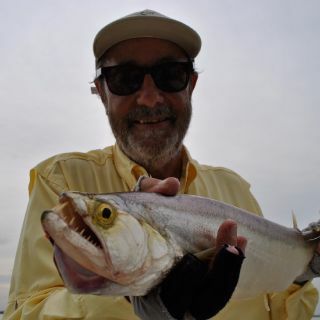 Una gran persona, gran guía y ademas, nos hemos divertido con las anécdotas que intercambiamos mientras pescamos. 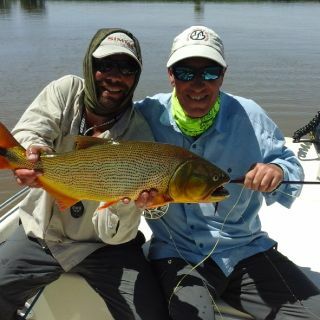 El otro grupo pesco con Chulo y, a pesar de que eran novatos, pescaron muy bien y se fueron encantados. 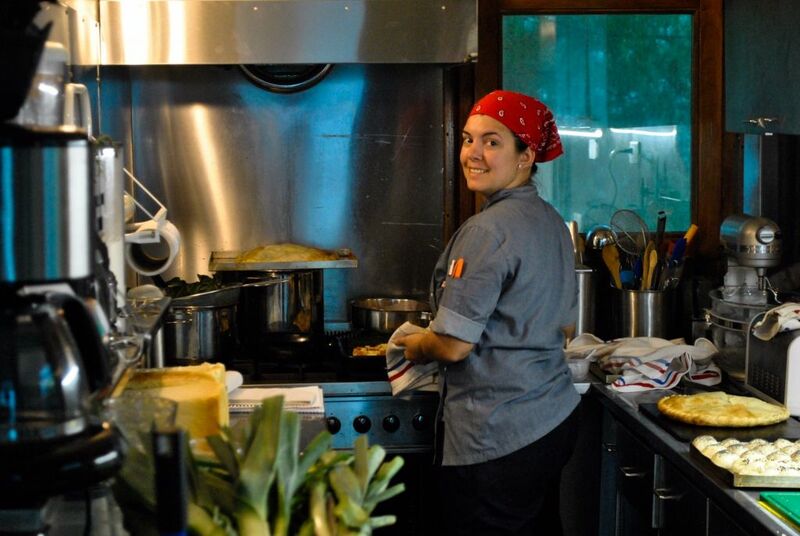 Un párrafo aparte para Micaela, la chef y el Indio, su colaborador. 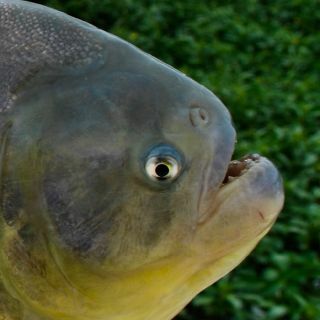 Impecables. 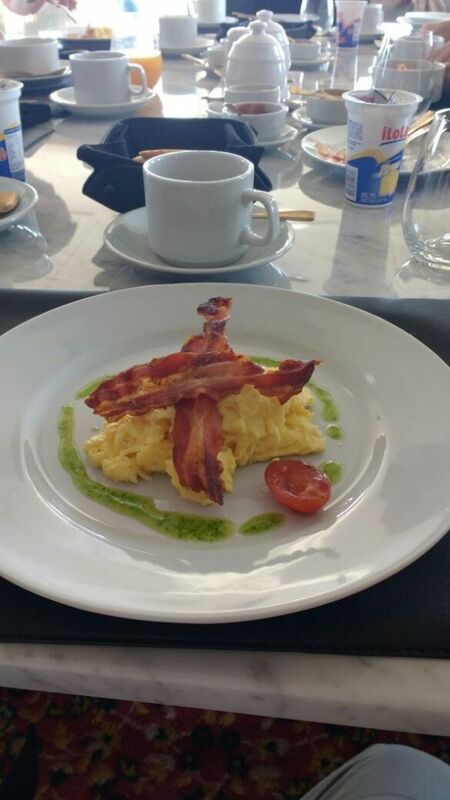 La comida perfecta, la atención perfecta. 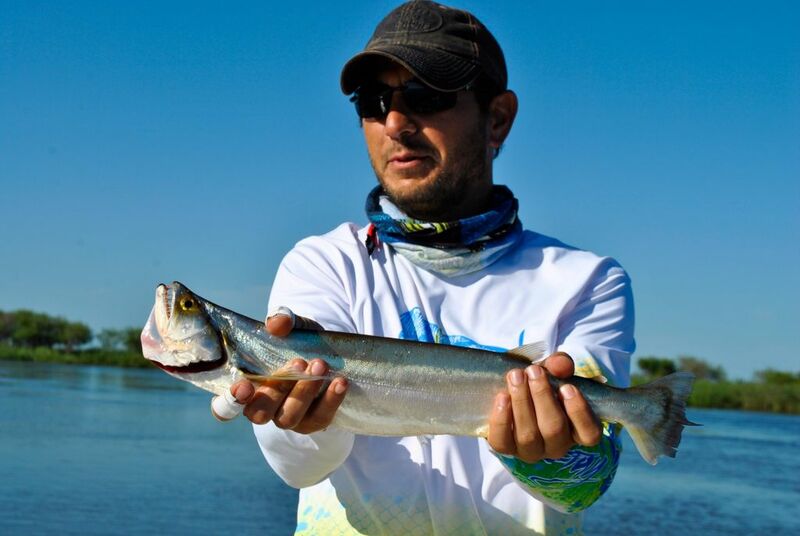 Dario Arrieta nos acompaño la ultima tarde de pesca, así que nos hicimos un festín de pesca y cuentos. 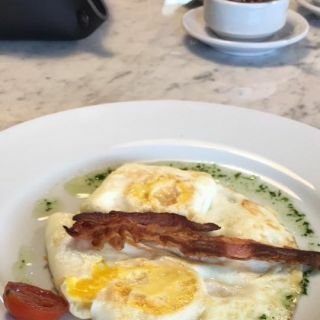 Nada que mejorar. 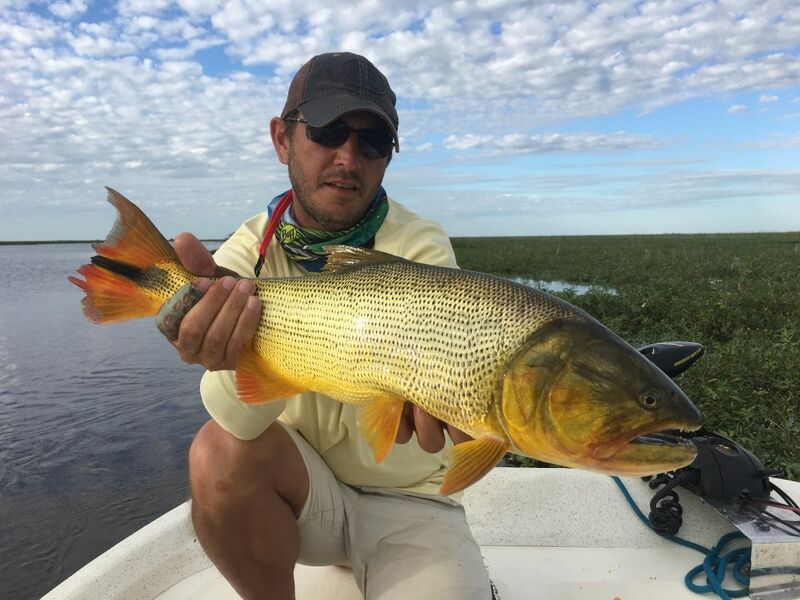 Sigan así. 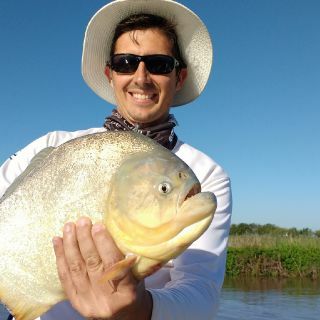 Fue un gusto pasar esos días con Ustedes. 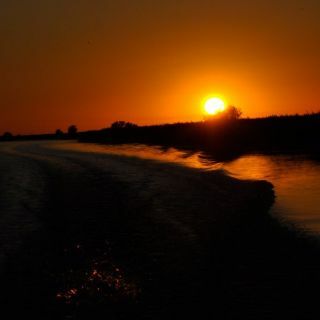 Espero volver pronto. 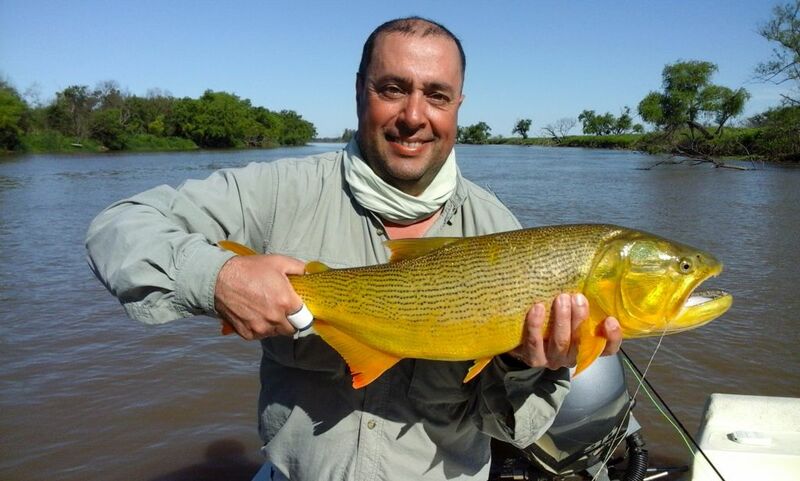 Gracias!!!!!!!!!!!! 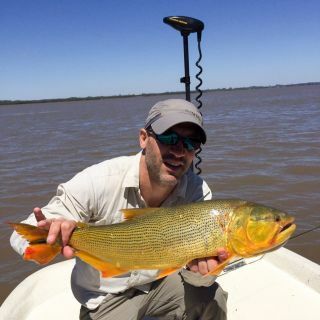 Es realmente toda una experiencia diferente, comenzando con la pesca del Dorado que pelea como ningún otro pez, continuando en vivir en un barco. 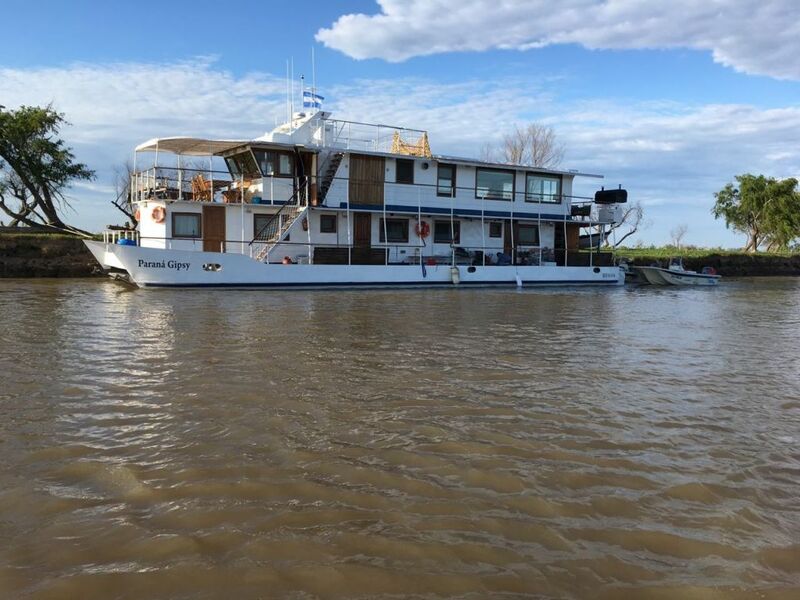 Acostumbrado a los lodges en tierra, un barco era mi gran duda, es increíble como está equipado, pensaron en todo, tienen todas las comodidades. 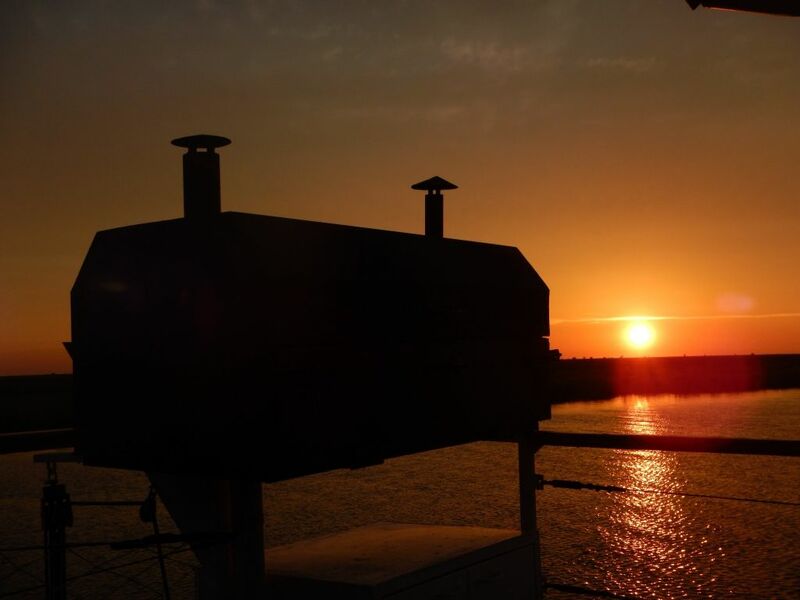 No perderse el atardecer comiendo una picada en el deck del barco es inigualable! 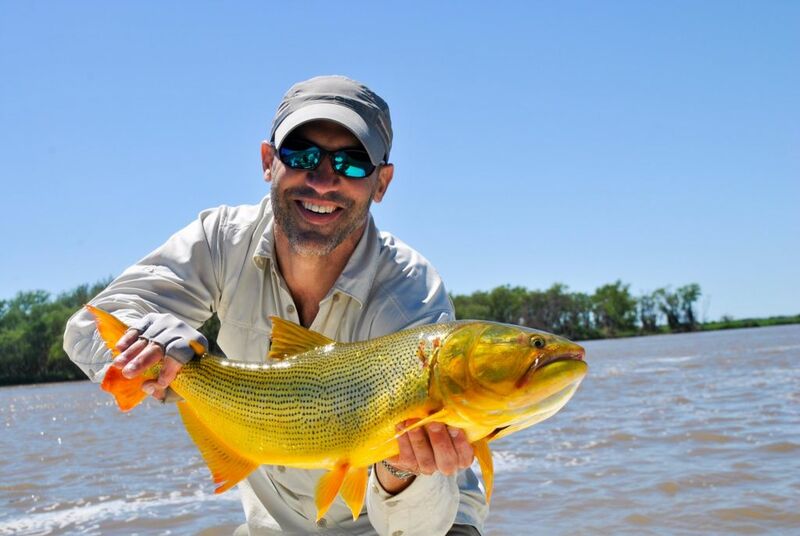 Los guías conocen a la perfección la zona y saben dónde ubicar los dorados siempre y en todo momento. 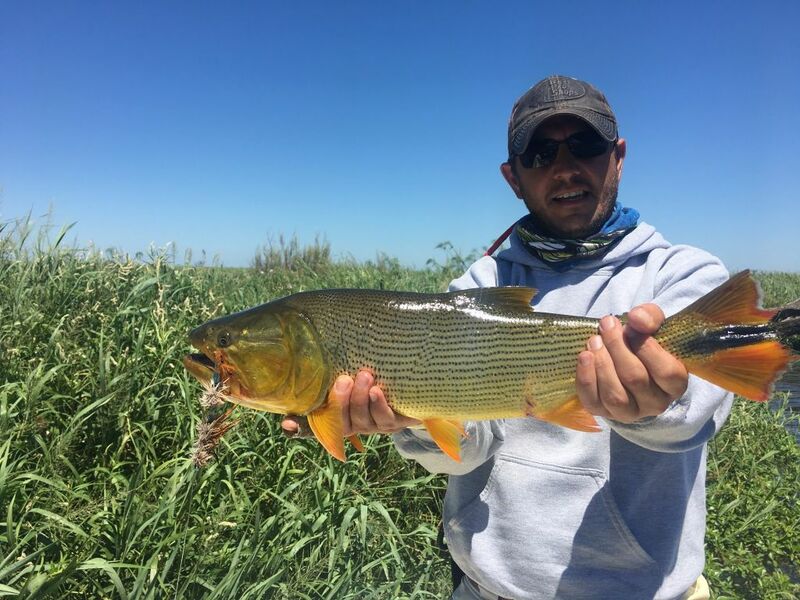 Me encantó la pesca de dorados con poppers y otras moscas de superficie, como también las tarariras, chafalotes, etc.! 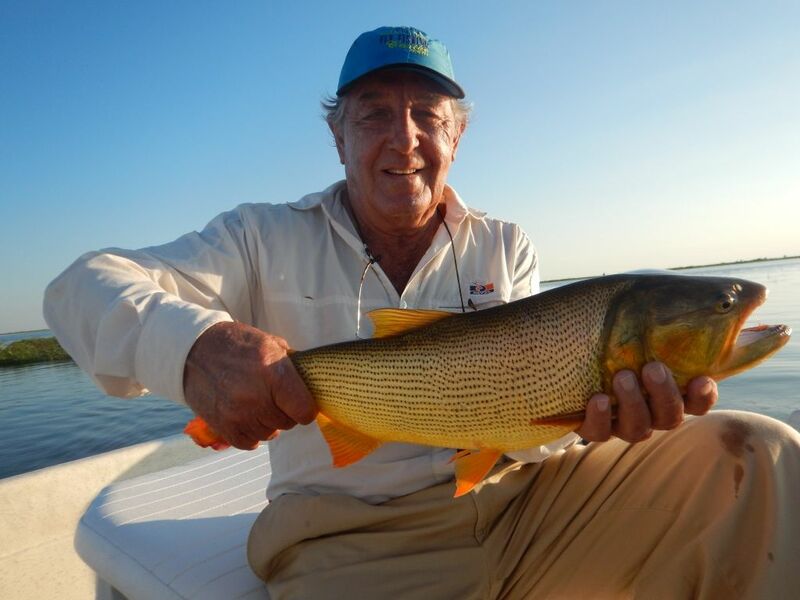 Fue la primera de varias veces más con los dorados. Volveré pronto!! 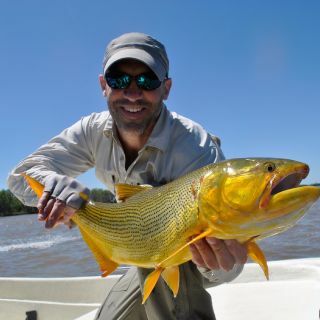 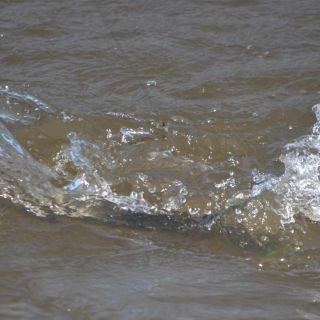 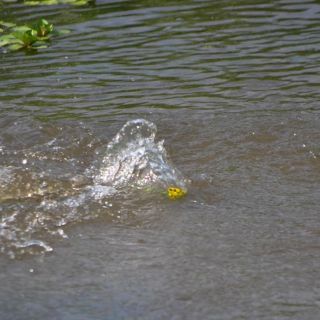 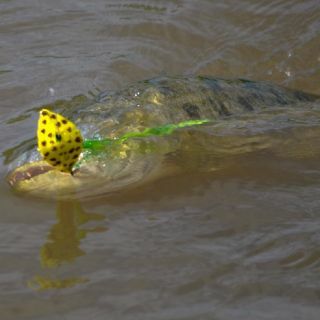 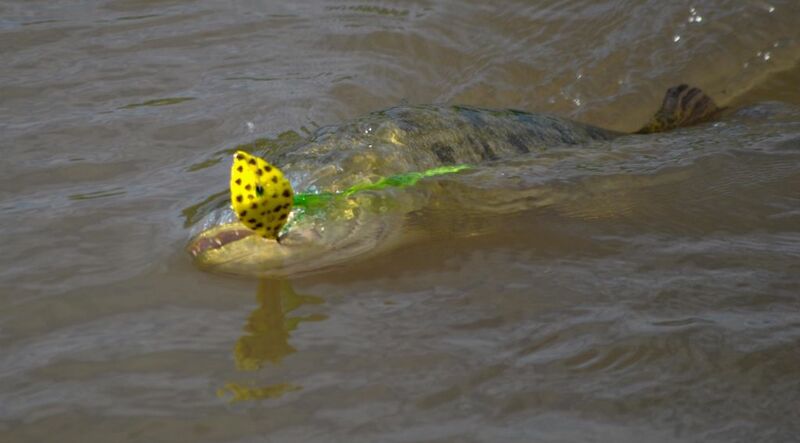 In the first place, I can´t explain how amazing golden dorado are, you have to live it! 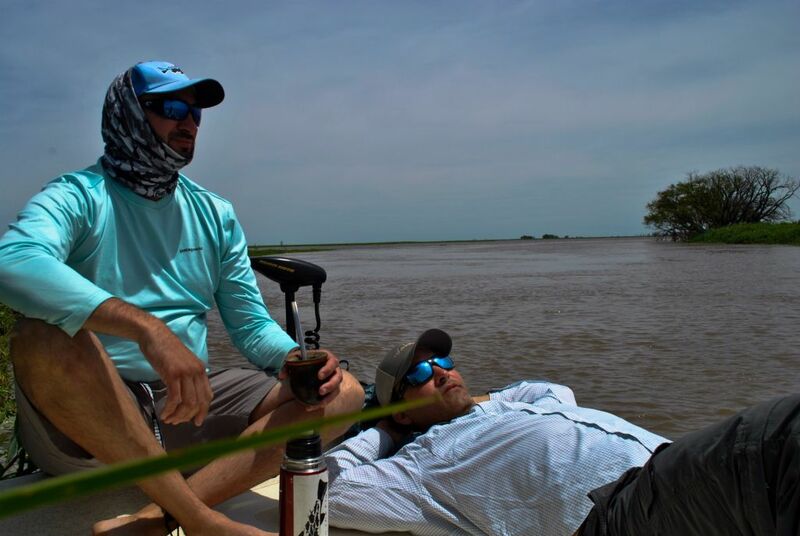 The guides have a deep knowledge around this huge area. 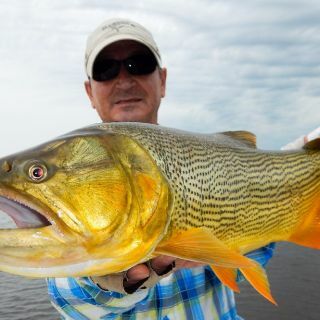 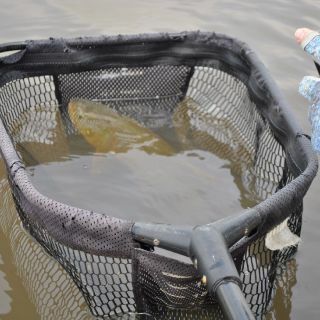 They know all the hotspots and will take you exactly were the fish are and over really nice water. 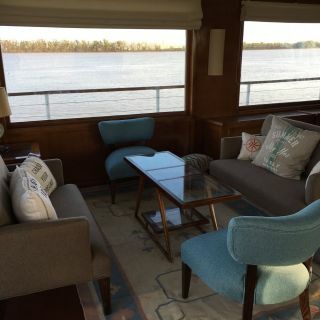 On the other hand, the ship is amazing! 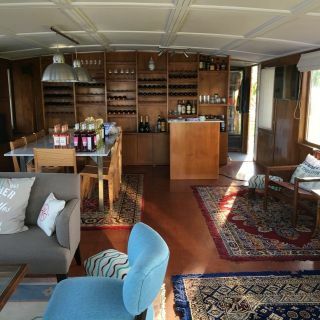 We really enjoyed the food & wines, the living room and the bedroom. 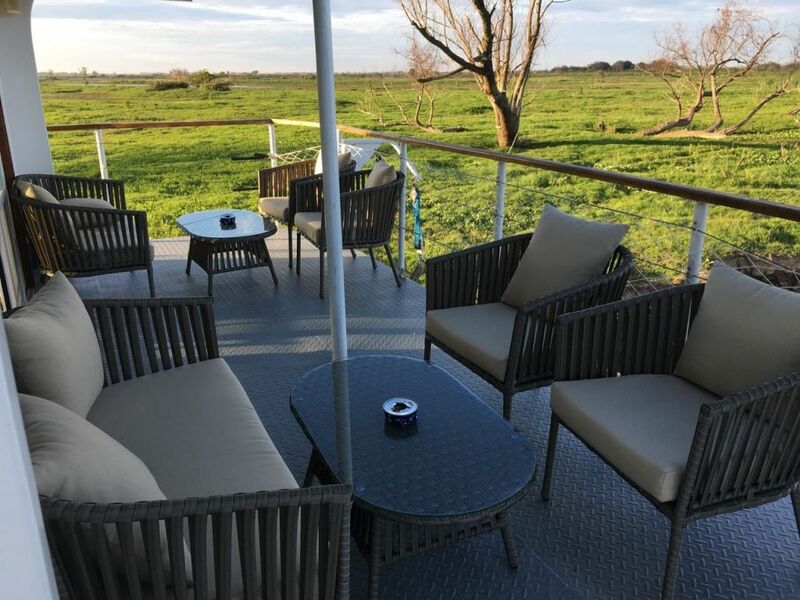 My friends and I loved sitting on the deck on dawn drinking an excellent coffee and enjoyed the sunset with a good beer, cheese, jam, really good empanadas (you have to taste them), bread and more. 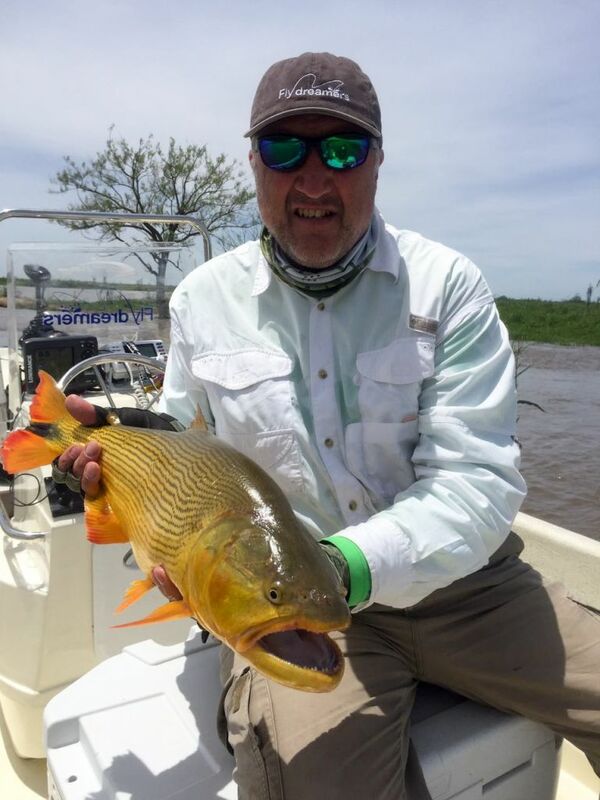 I arrived to Golden Dorado River Cruiser on November 3rd, 2016 and I stayed for 3 days. 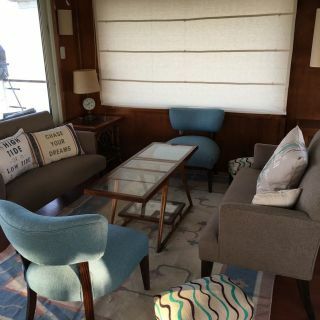 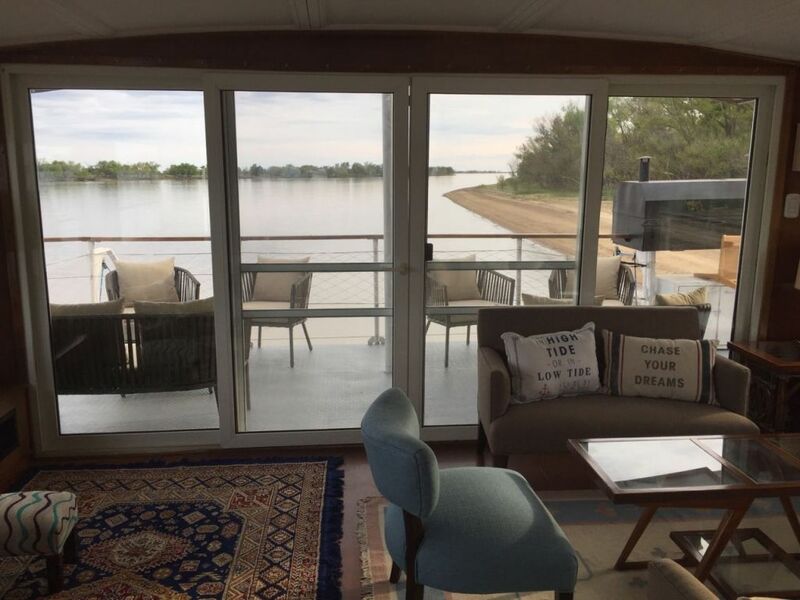 I can say many things about this floating lodge but I want to focus on the things that are different and unique to this place. 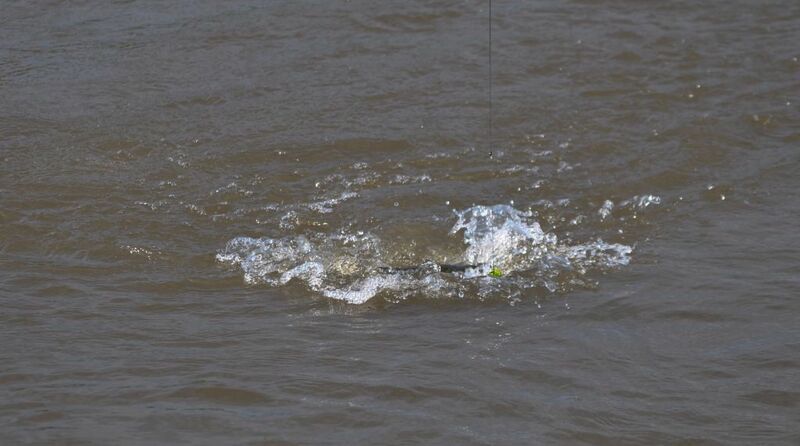 First, you are in the middle of nowhere. 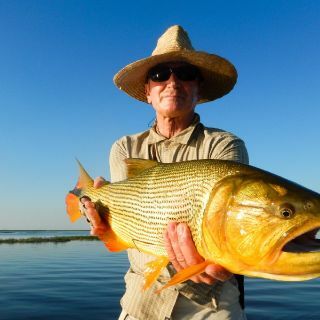 This means way far away from the range of usual fishing places and standard lodges. 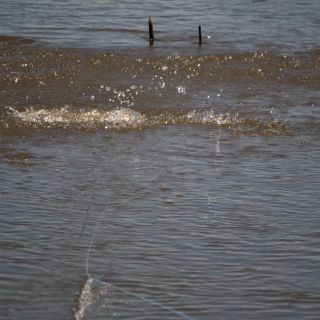 First great point. 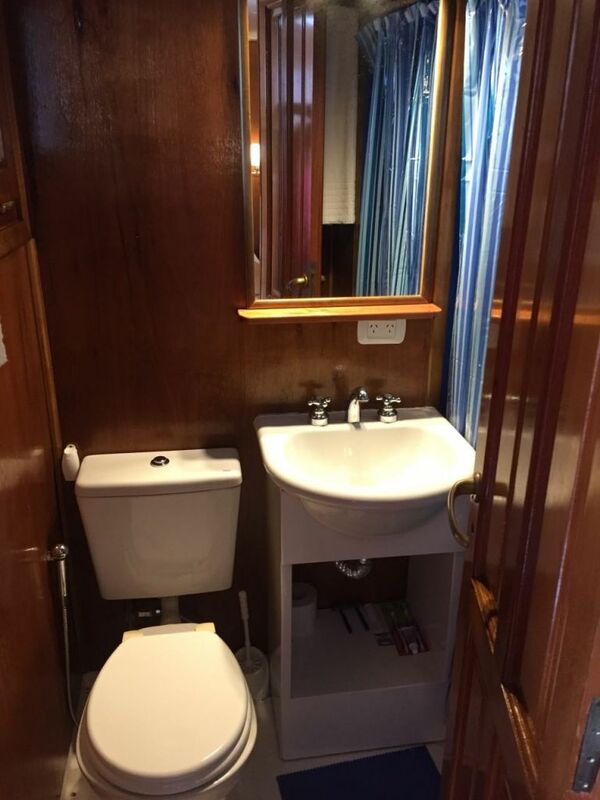 Secondly, I was impressed by the on-board services. 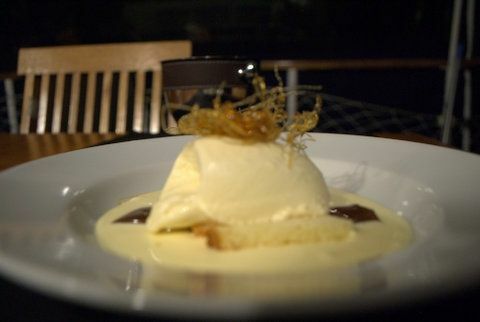 The gourmet dinners from the Master Chef were simply same or even better than any international 5 stars’ hotel. 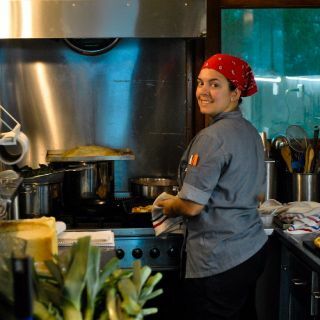 The “Bondiola” prepared by the Chef will be part of my most daunting food memories of my life. 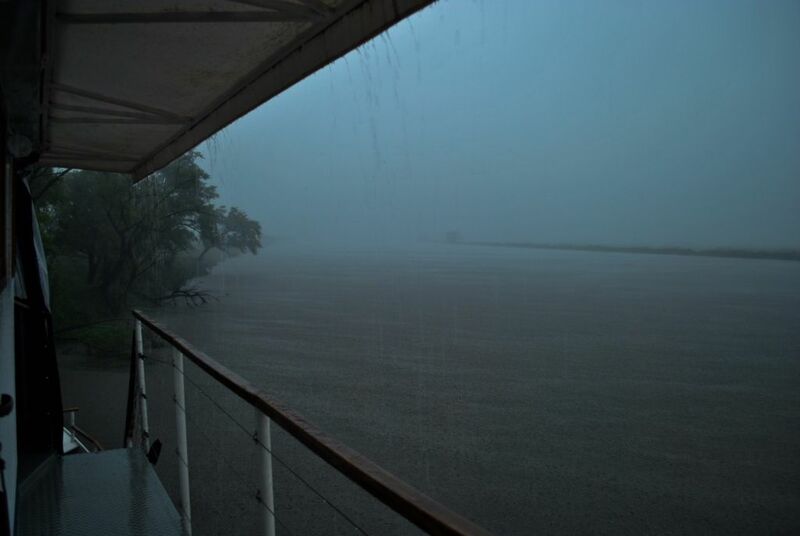 Moreover, I was not expecting such a quality in such a remote and isolated place. 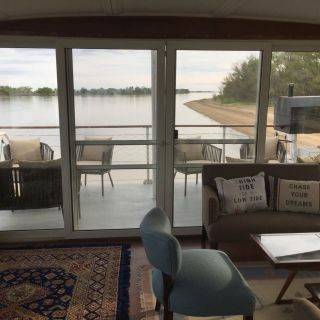 In addition, the accommodations are great. 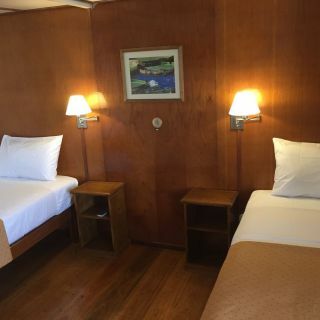 I shared a 2-single bedroom including a complete bathroom with a very comfortable shower and bath. 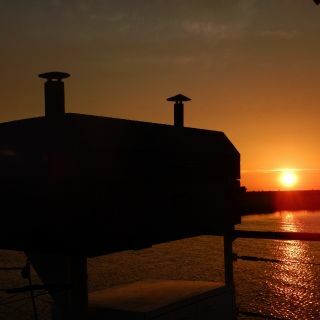 Hot water any time and water pressure as if I were at home. 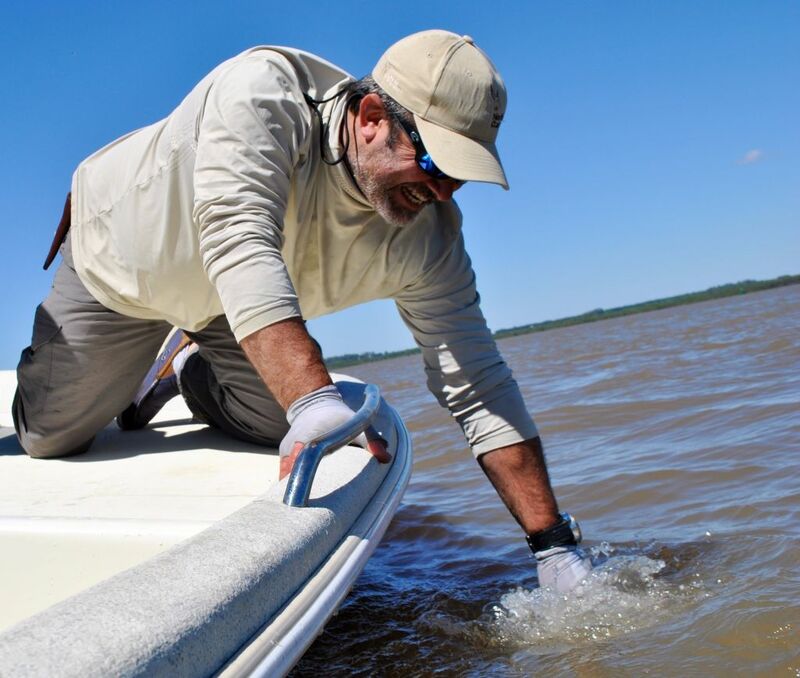 Furthermore, the joy and pride of the crew doing their job is incredible and contagious. 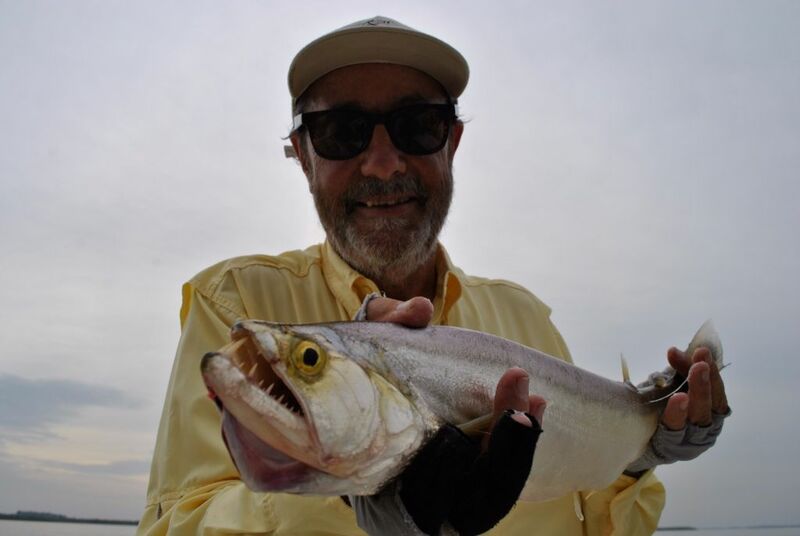 My special recognition to Mr. “Hueso”, the Butler who was one of those guys that I would like to find in any future lodge I would ever visit. 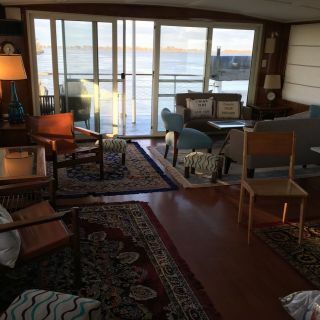 Always ready, looking to make your stay even better each minute and with a dedication that exceeds by far any standard scope of work he might have been granted. 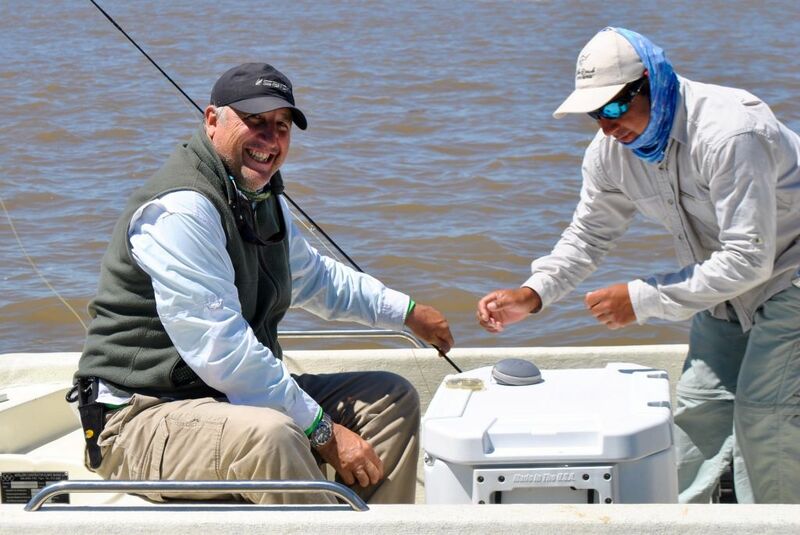 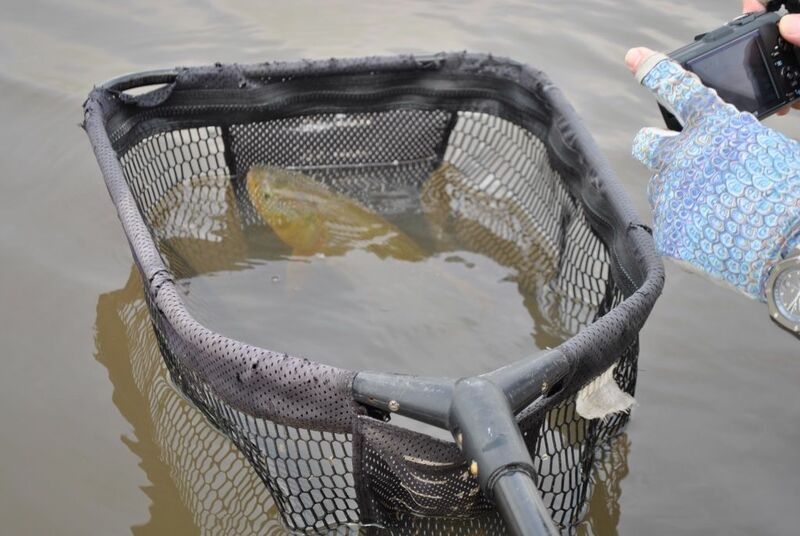 From a fishing perspective, the equipment is best in class. 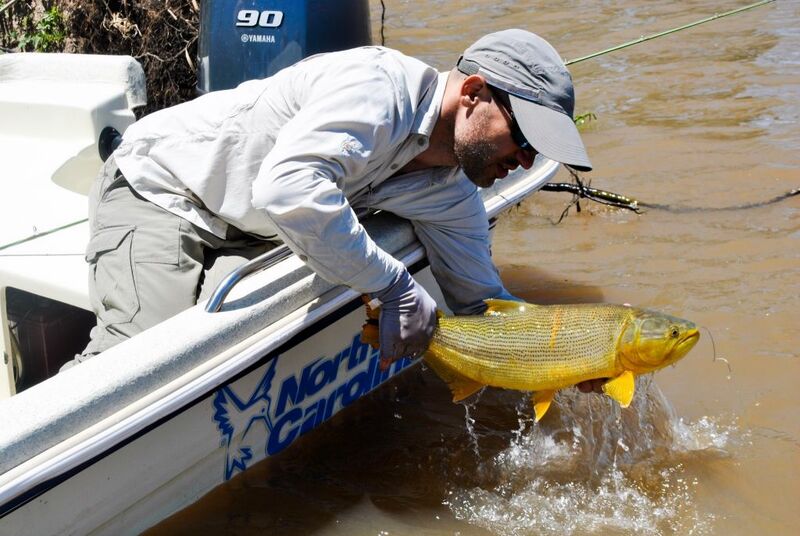 The North Carolina cruisers are perfect to enjoy the river and the guides are all very knowledgeable. 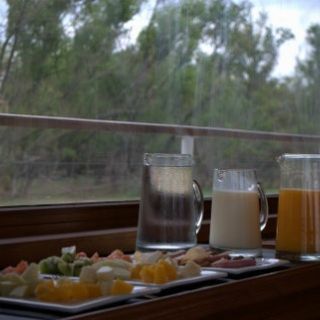 I like the way they work together with the same objective of transforming your days in this lodge into lifetime memories. 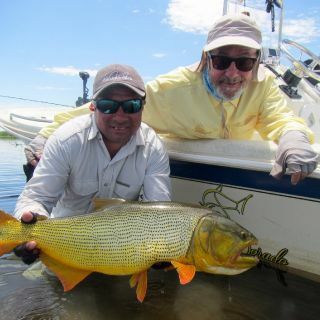 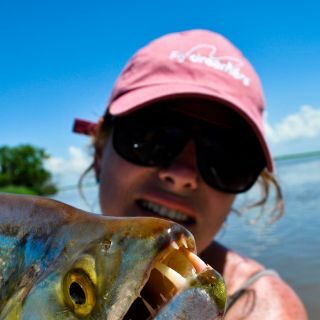 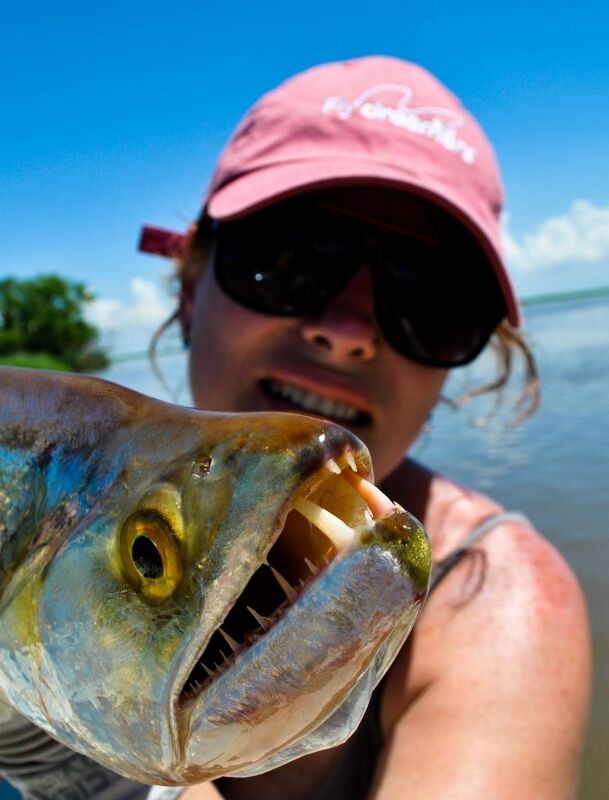 I will never ever forget the truly unique and awesome experience I enjoyed at Golden Dorado River Cruiser and I really recommend anyone thinking about his next fishing journey to seriously consider this spot. 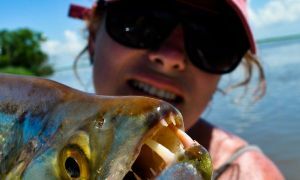 State of the art experience, I recommend it without hesitation. 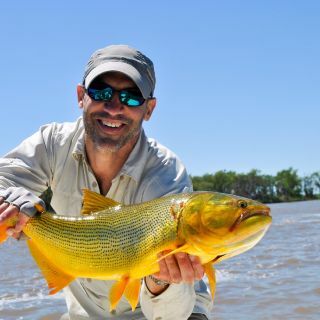 Thank you Golden Dorado River Cruiser! 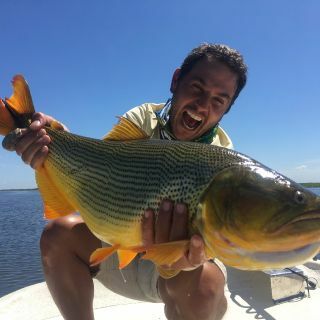 Experiencia única!! 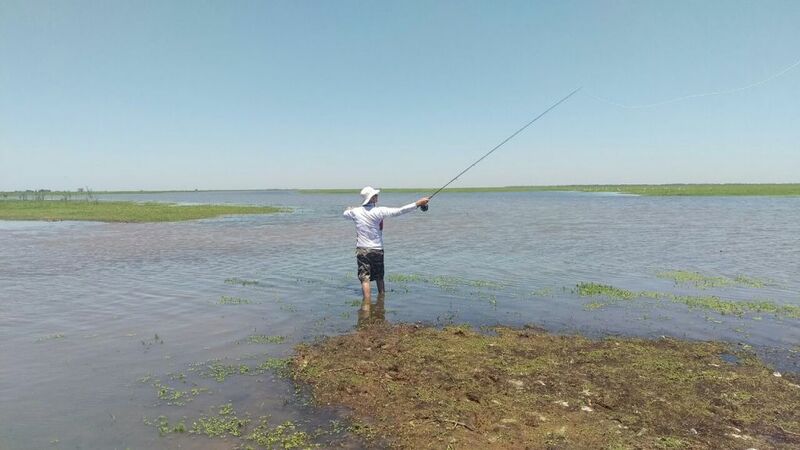 En mi vida había participado en una excursión de pesca y no tenía ninguna motivación en hacerlo. 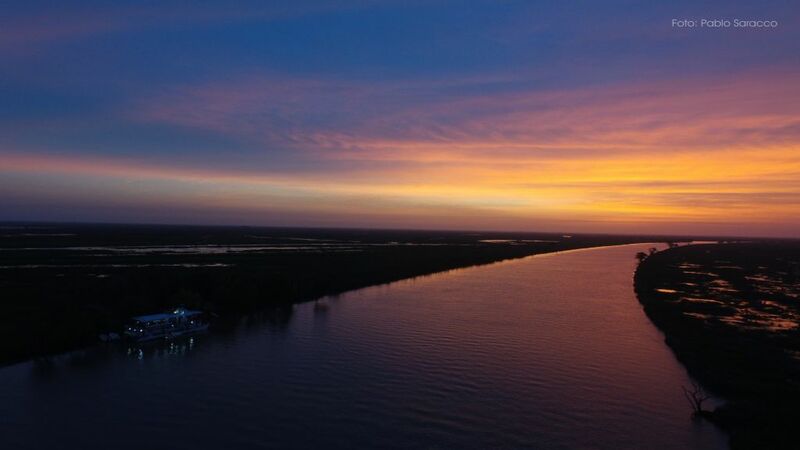 Luego de la experiencia vivida en el Paraná Gipsy, ya estoy planificando cuando volver. 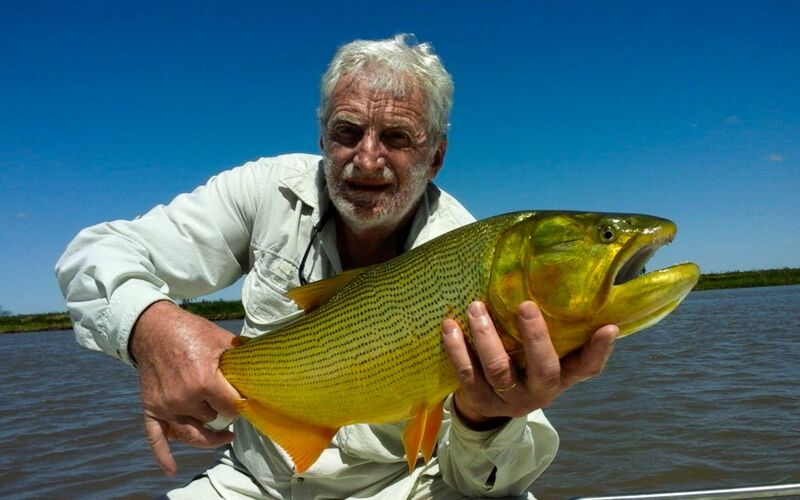 Lo mejor de todo, el profesionalismo y la calidez de la tripulación y guías. 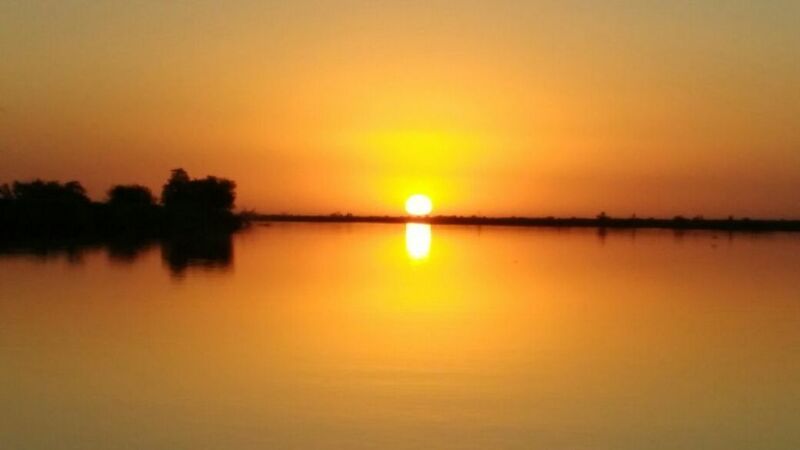 No dejan nada librado al zar y están permanentemente atentos a que pases un gran momento. 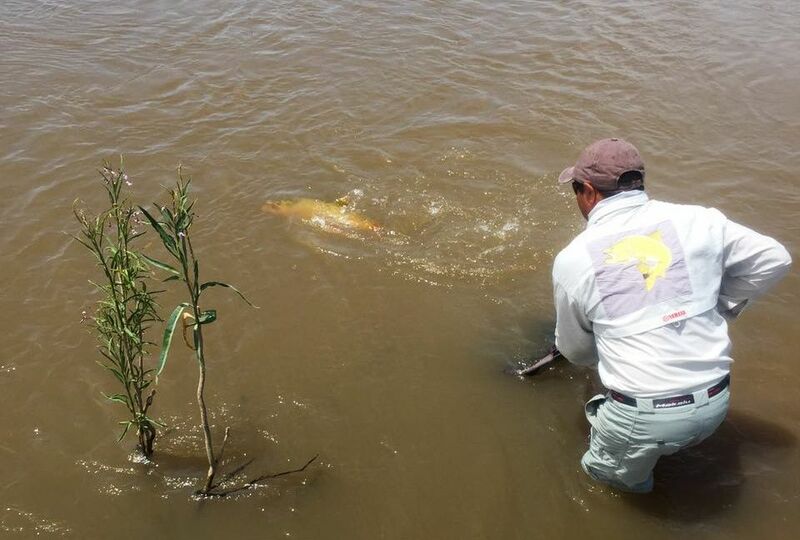 Los camarotes son muy cómodos. 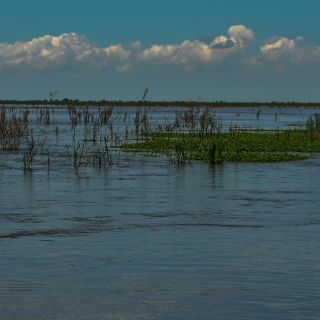 Un lujo el tamaño de los mismos. 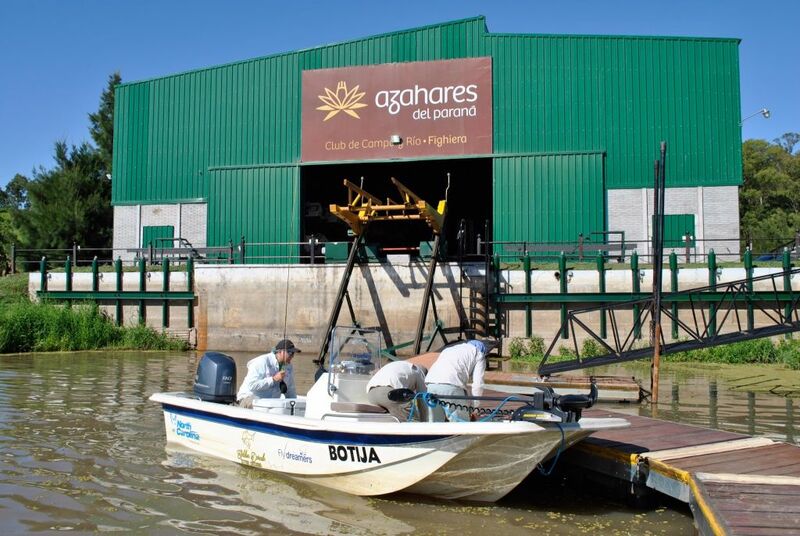 La comida y la bodega, excelentes. 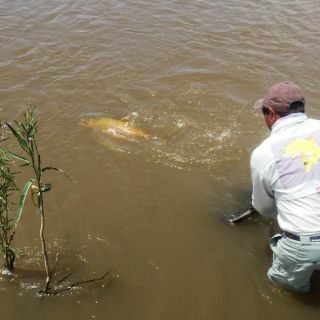 Inolvidables los tragos y las picadas post pesca cuando llegás muerto!! 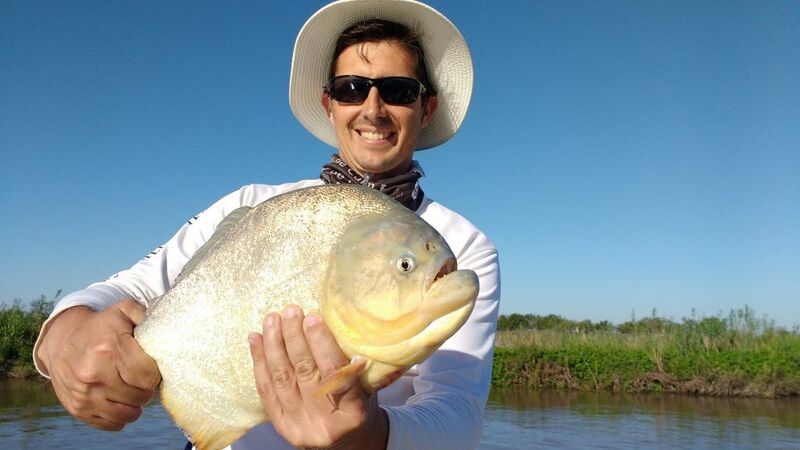 Una recomendación a los dueños: vayan alistando el Paraná Gipsy 2!!! 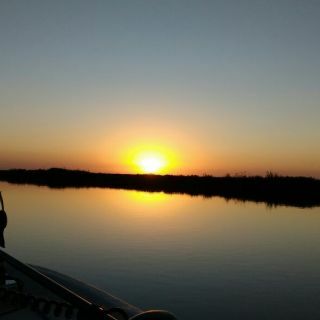 Thanks God for letting me in for 4 days in paradise with a group of eight friends! 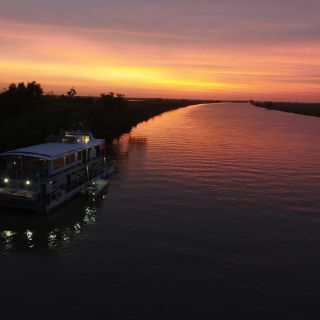 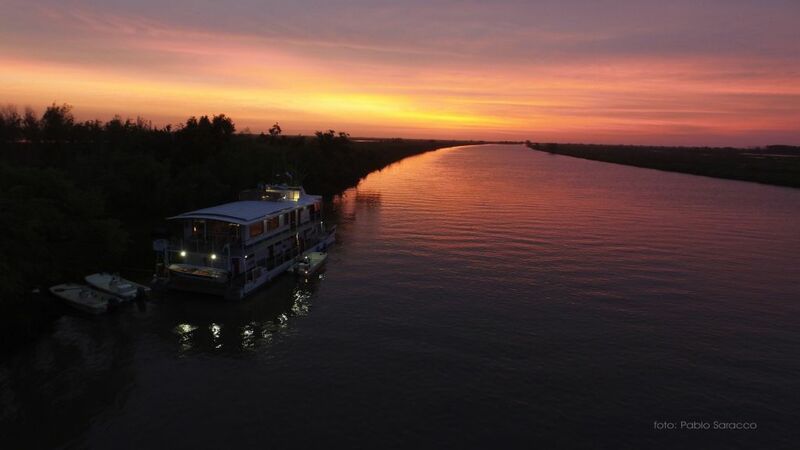 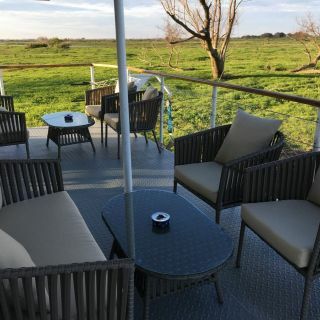 In the middle of nature and without seeing anything other than rivers, fields, cows, horses and all kinds of exotic birds of the area, we have lived onboard the Gipsy River from Golden Dorado River Cruiser. 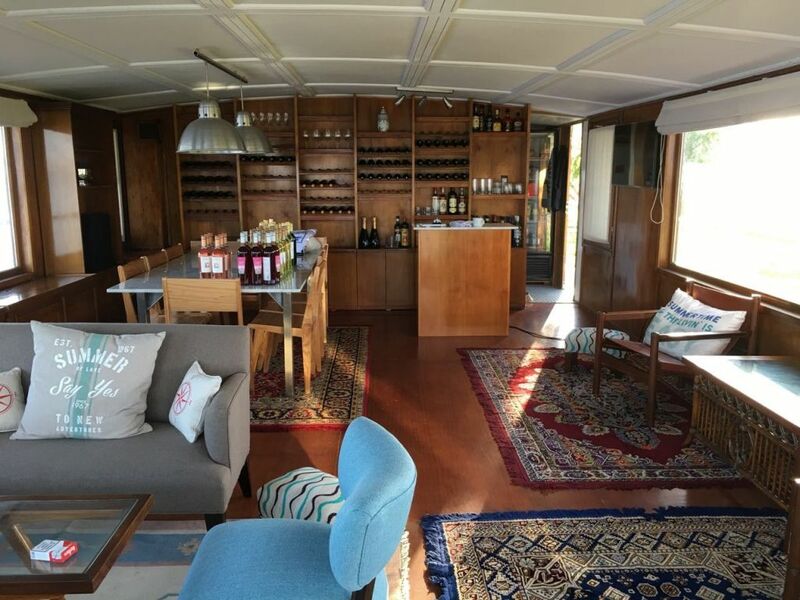 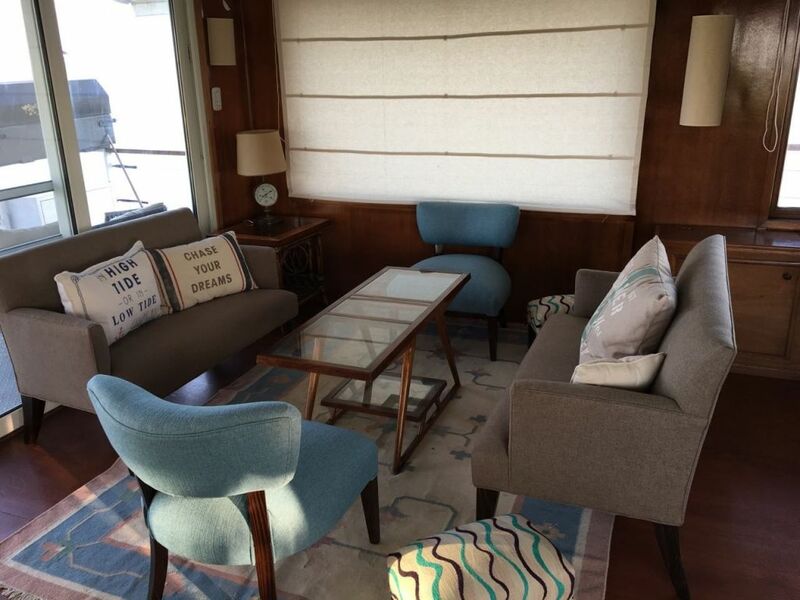 The Gipsy is a barge of 4 pontoons refurbished with the best taste and comfort to the command of captain Darío and its crew. 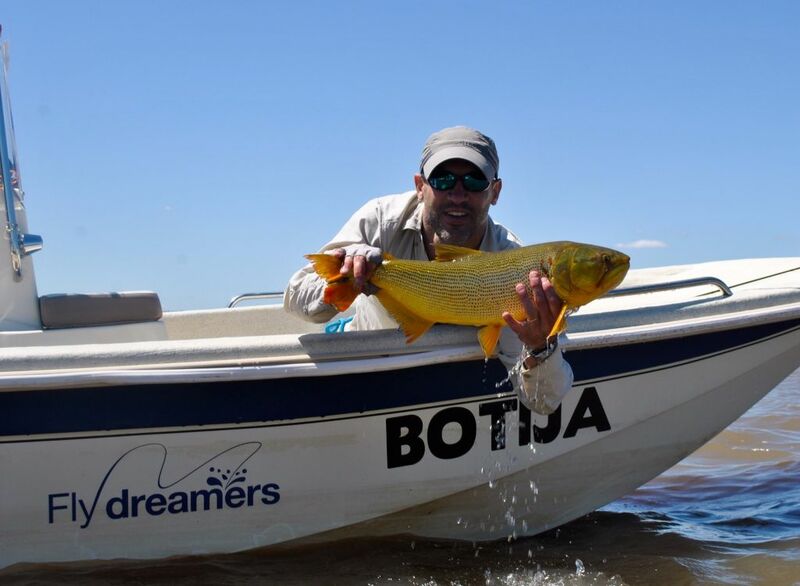 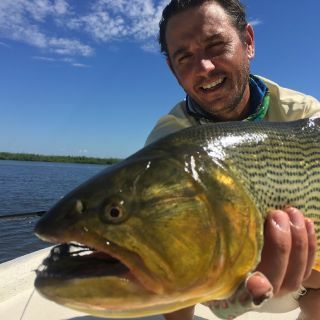 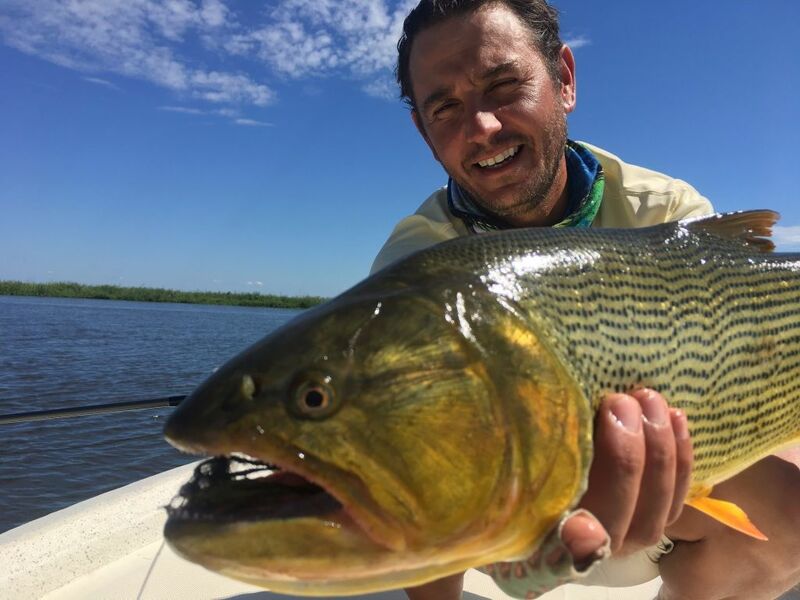 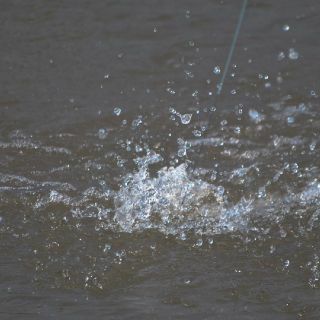 We have experienced a few days of fishing at its best expression with the first level of professional guides, fishing equipment and motorboats that have made us to enjoy the art of fly fishing and bycast. 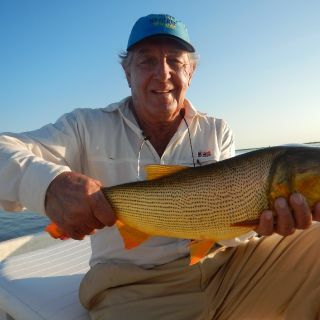 We took out dorados, tarariras, chafalotes, dientudos and some other species of the place after a gourmet breakfast and having sailed for several minutes under the guidance of local experts like Darío, Tobi and Chulito who were always under alert looking for streams, wells, trunks, etc. 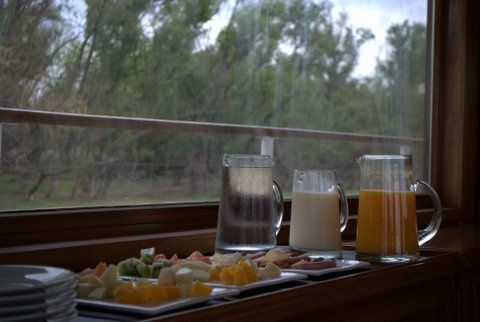 At midday the guides prepared us a light lunch under some willow to recover energy for facing the afternoon fishing trip until the sun began to fall. 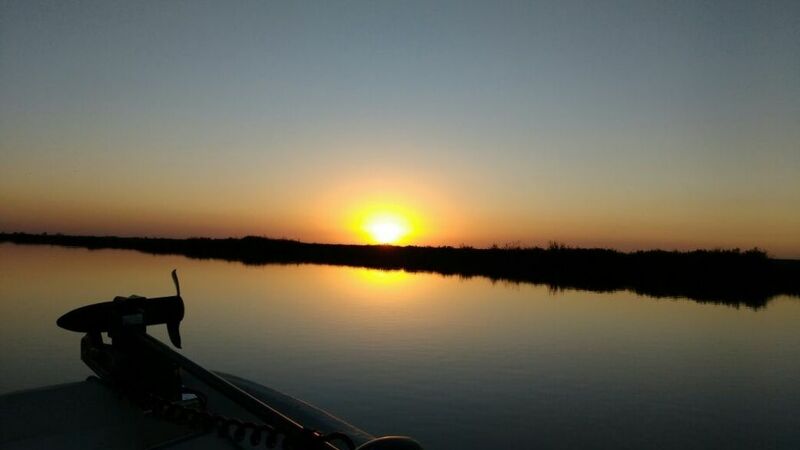 Returning to the Gipsy River after a day of total disconnection was a supreme moment as "Hueso" (all-terrain crew) waited for us with a cold beer or a cocktail so the eight friends reach this meeting point to share each experiences looking at the sunset, perfect. 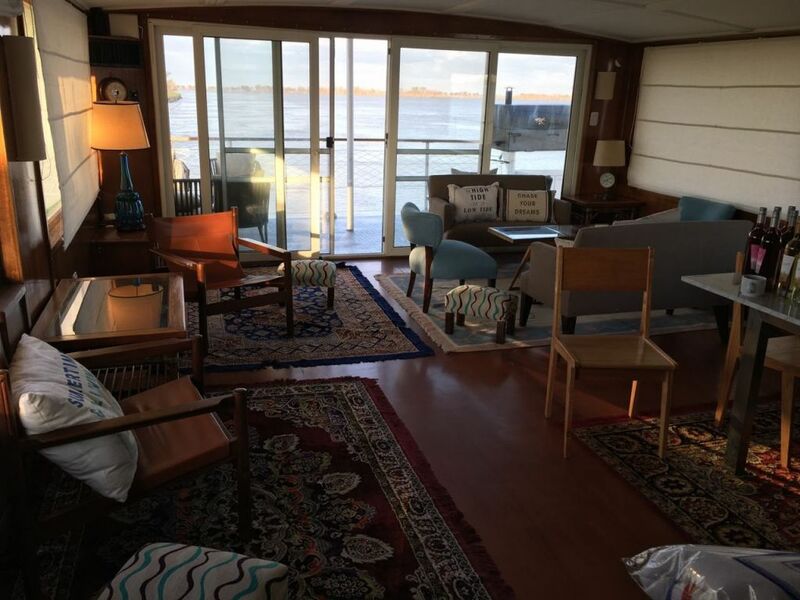 Then we used to have a hot shower, a little rest and meet again in the living room to continue chatting. 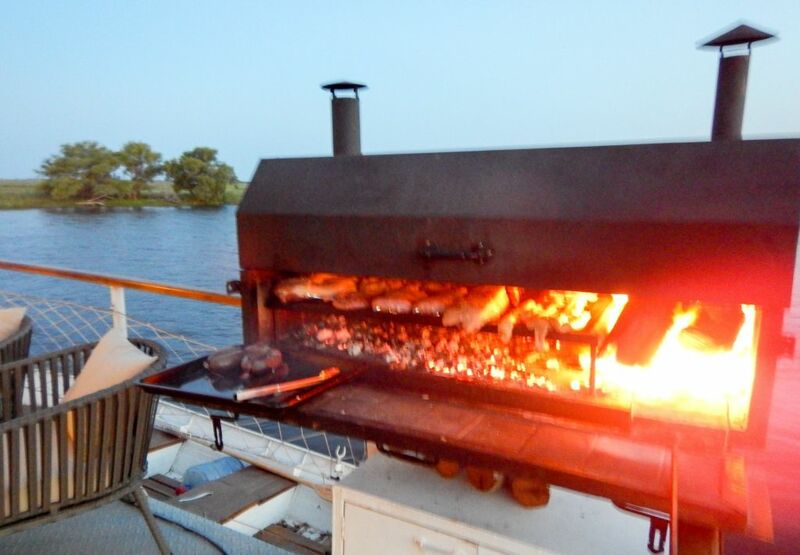 The dinner deserves its own chapter. 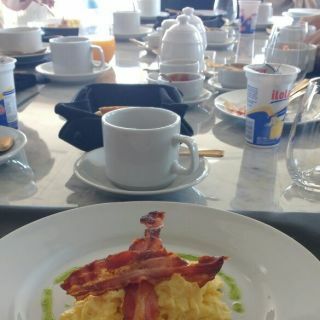 It was prepared by the great chef Lucas. 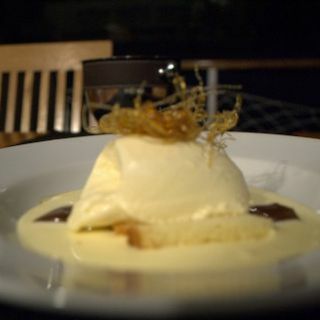 The environment and quality of the menu were somewhat surrealist, we were eating like in a 5 star hotel but in the middle of nowhere ... you must see to believe it. 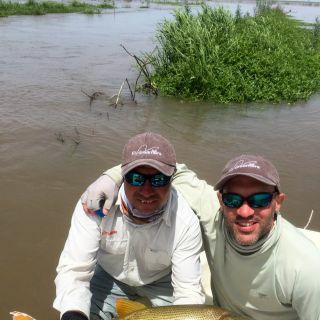 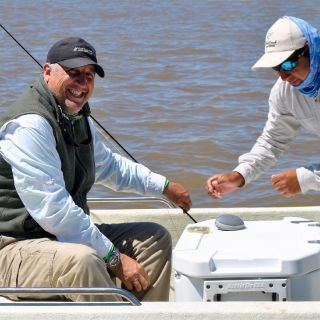 I want once again to congratulate and thank the producers of this project Eduardo and Beto who had the ability to land a great idea creating this exceptional fishing trip in the Mesopotamia rivers of Argentina and with a great team of professional people they have formed on board the Gipsy, the formula of success. 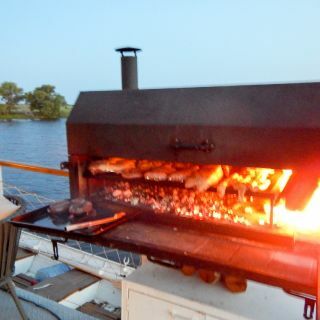 Definitely I lived a superlative experience in a wonderful place, with first class service and 8 friends ... what else?. 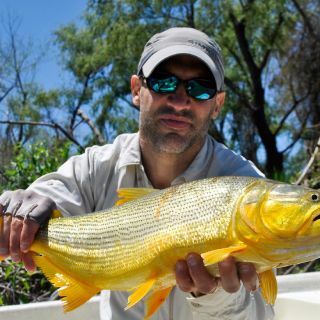 Es lo mejor de Argentina en lo que a programa de pesca se refiere. 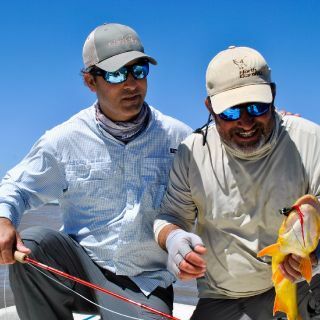 Las tres claves para lograr esto se resumen en: Primero, una combinación excelente de calidad de guías, calidad del equipamiento (lanchas y equipos) y acceso a spots de pesca únicos que aseguran piques y lograr piezas excelentes. 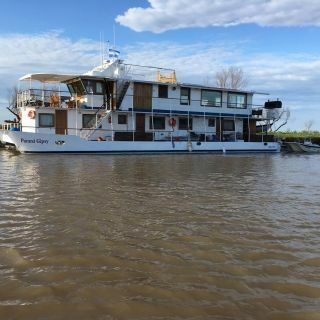 Segundo, el barco. 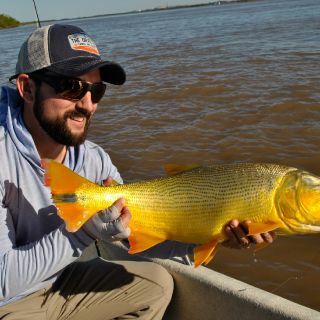 Con comodidades 5 estrellas, diseñado para que cada momento sea perfecto, el desayuno mirando la inmensidad del Parana, la picada post pesca a la sombra con una cerveza helada esperando con un posterior atardecer de película y por último, una cena como en los mejores restaurantes de cualquier capital del mundo. 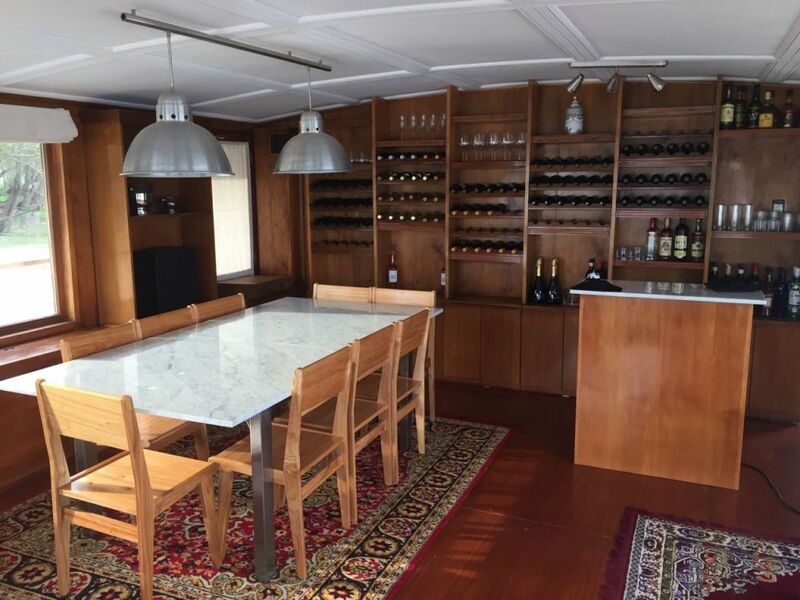 Sin duda, un lugar que va a superar las expectativas de cualquiera que tenga la suerte de poder vivir esta experiencia. 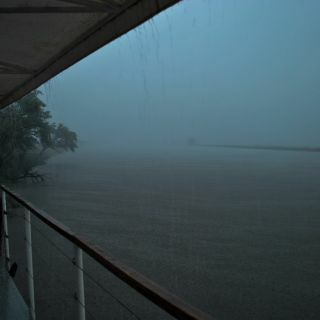 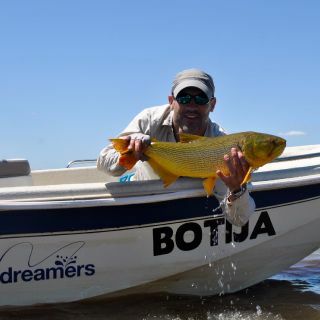 Gracias Golden Dorado River Cruiser!!! 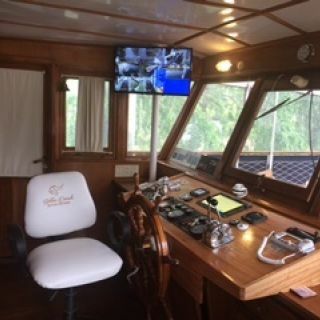 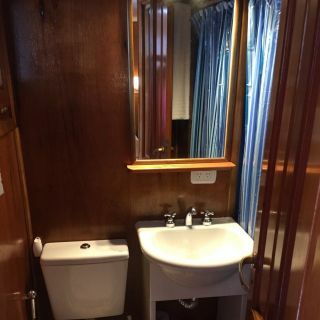 Quede impresionado por lo bueno que esta el barco, con detalles bien cuidados de terminación, decoración, funcionalidad; Y sobre todas las cosas el personal con vocación de atención a los clientes. 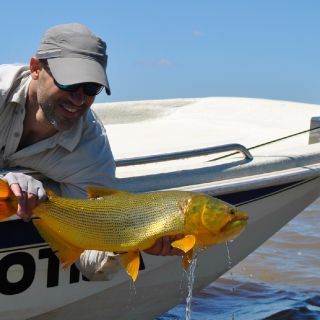 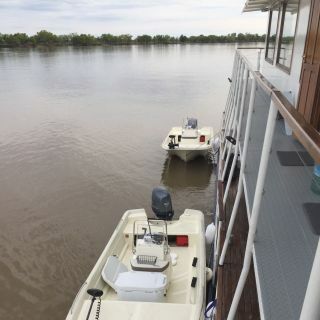 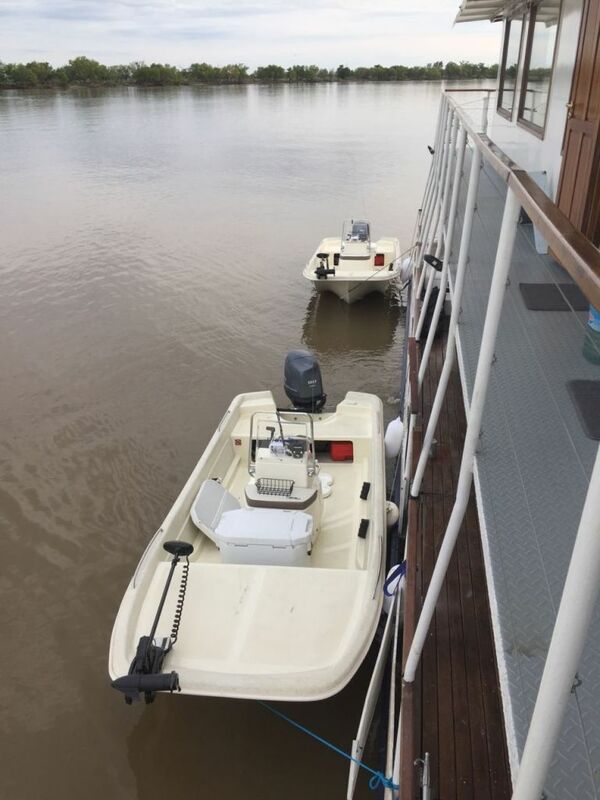 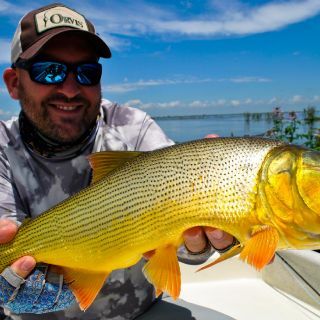 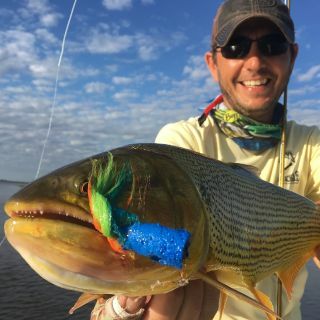 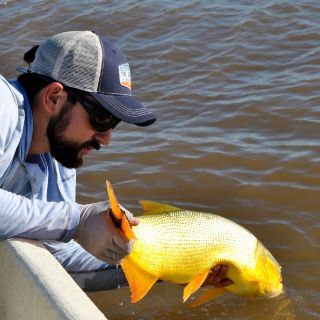 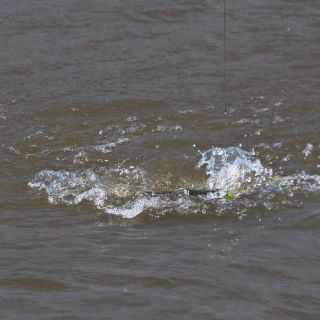 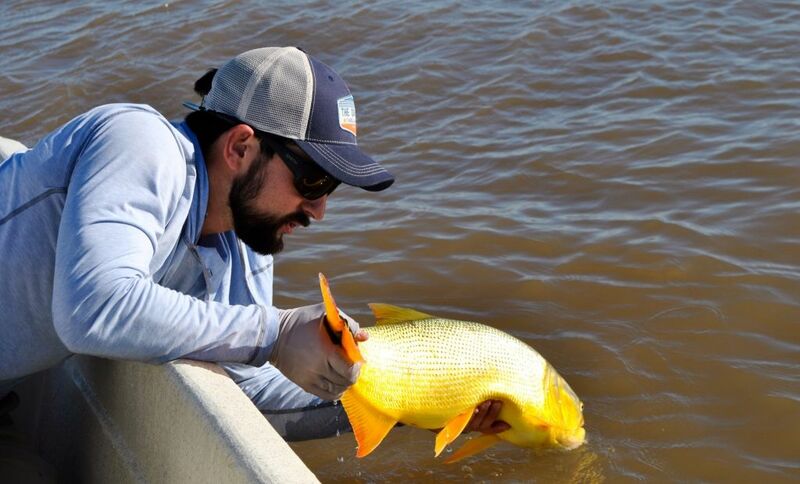 Gracias Golden Dorado River Cruiser por permitirnos vivir dos dias de pesca espectaculares a bordo barco Paraná Gipsy, impensado encontrar un lodge flotante de la categoría de un hotel de lujo a tan solo 2,5 horas de Buenos Aires , puffff que lujo , gran idea innovadora Dario Arrieta! 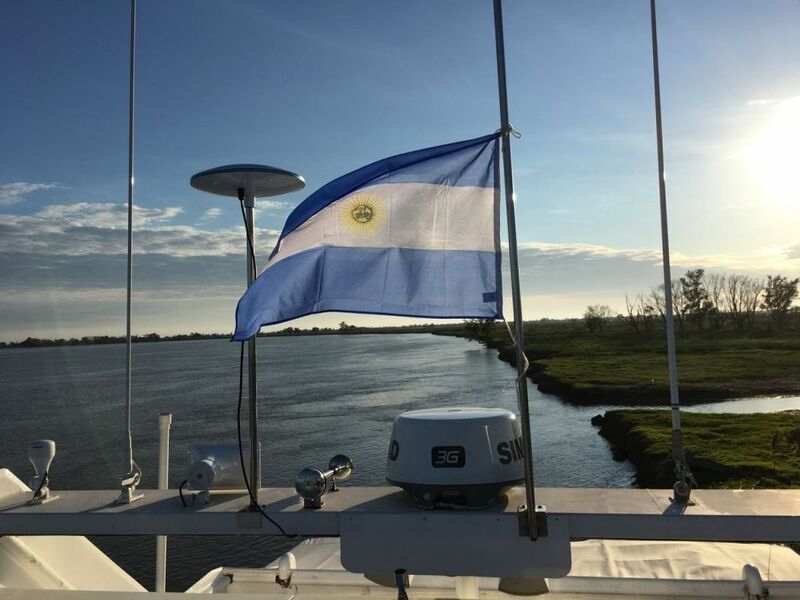 Creo es nuevo en Argentina , gran operación de nivel internacional , Felicitaciones !!! 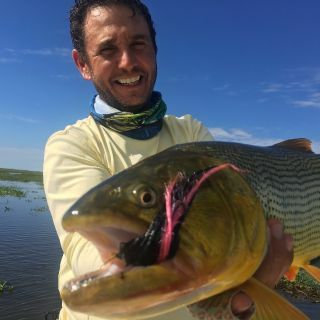 De la atencion que decir? 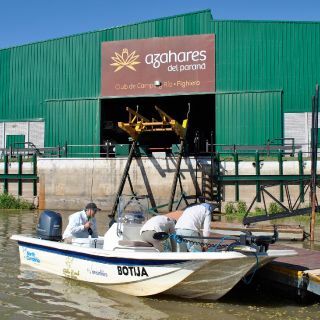 Desde el Hueso y su cálida atención , la comida y servicios, instalaciones y los guías que hicieron su trabajo a la perfección poniéndonos siempre arriba de los peces y trabajando a destajo para vernos contentos, gracias al Capitan del Barco y a la compañía de mi amigo Martin Picca quien me invitó a ser parte de esta tremenda aventura compartida con Luis M. San Miguel y Fly dreamers - Fly Fishing ...quede loco y con ganas de volver muy pronto ! 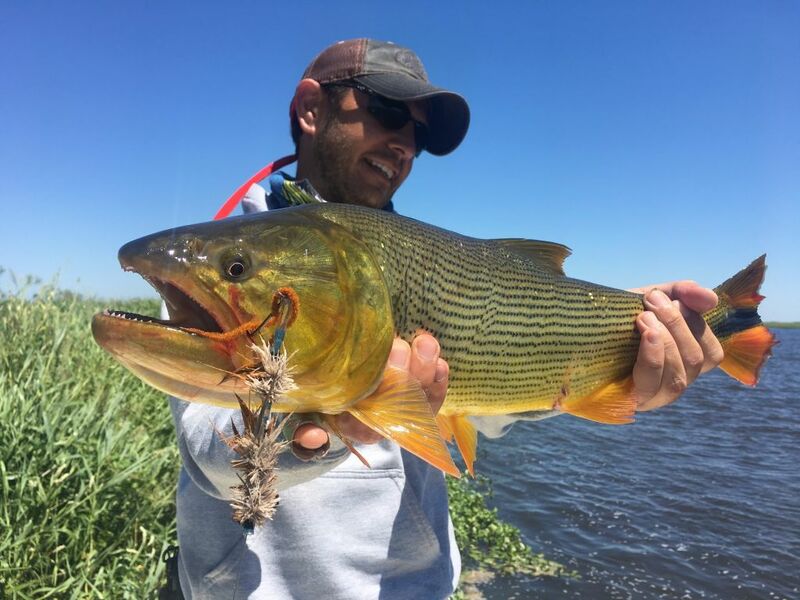 De la pesca ? 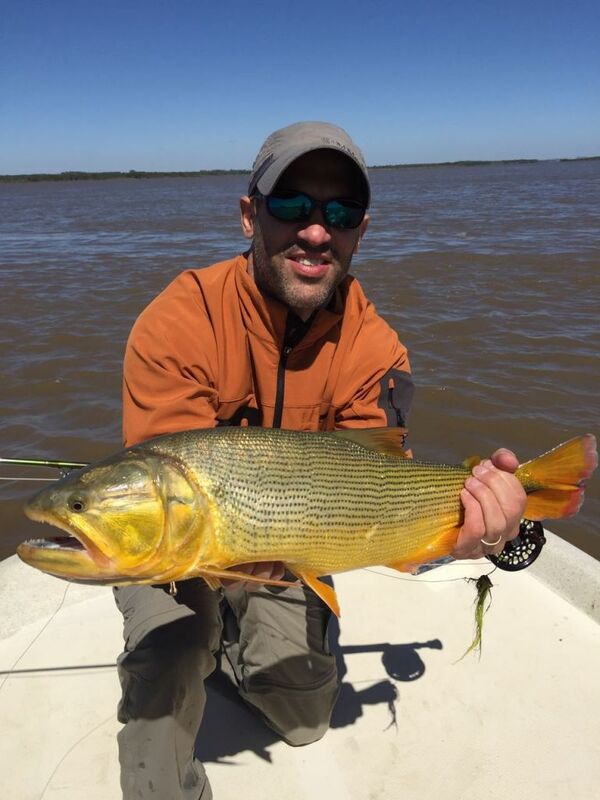 Aca va el reporte, je....saquen sus conclusiones. 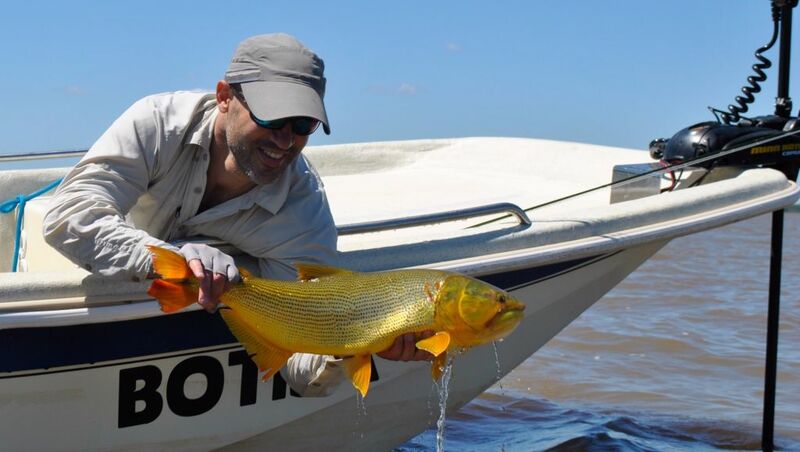 Una experiencia distinta, lo que estaba faltando en el Paraná! 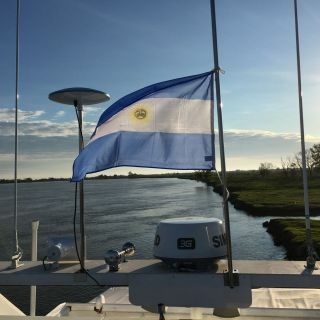 El barco es impecable, tiene mucho espacio. 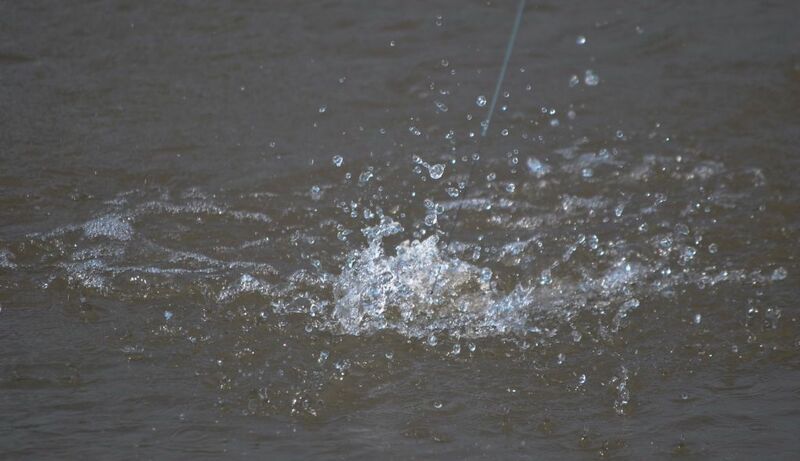 Cuatro camarotes muy cómodos, cada uno con su baño, con buen agua caliente. 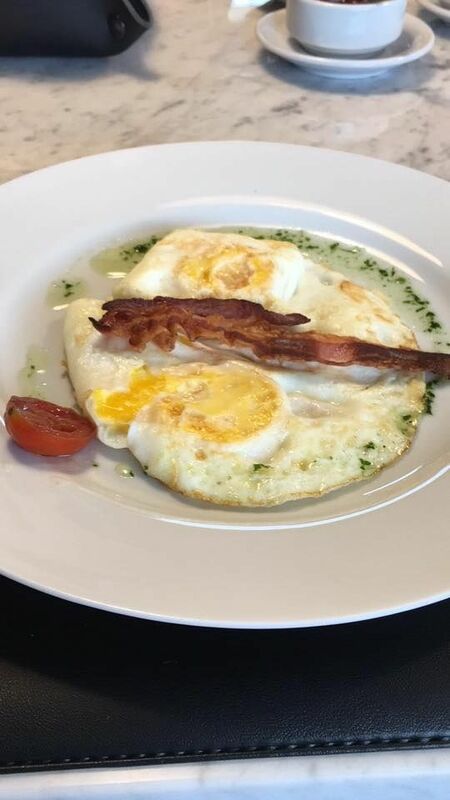 El servicio muy bueno, de nivel internacional. 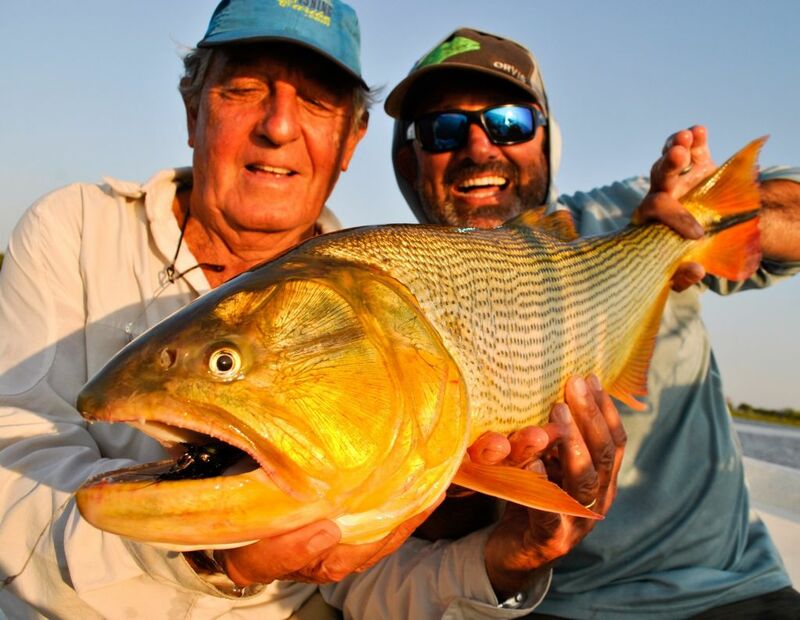 La tripulación y los guías muy amables. 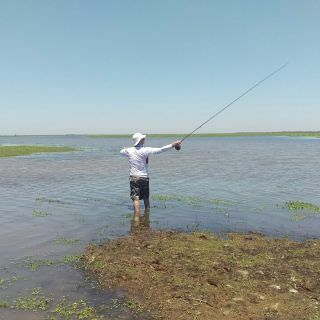 Las lanchas no pueden ser mejores. 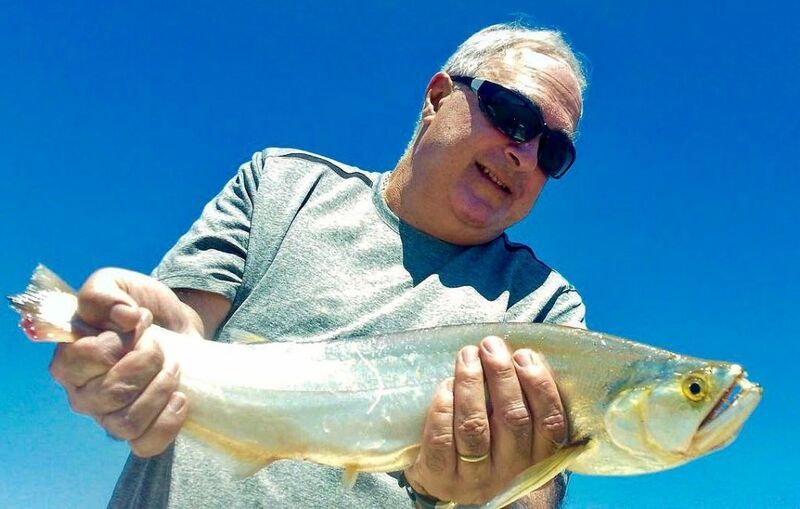 Buena potencia para llevarte rápido a los distintos lugares, muy cómodas y amplias para pescar, y todas con motores eléctricos. 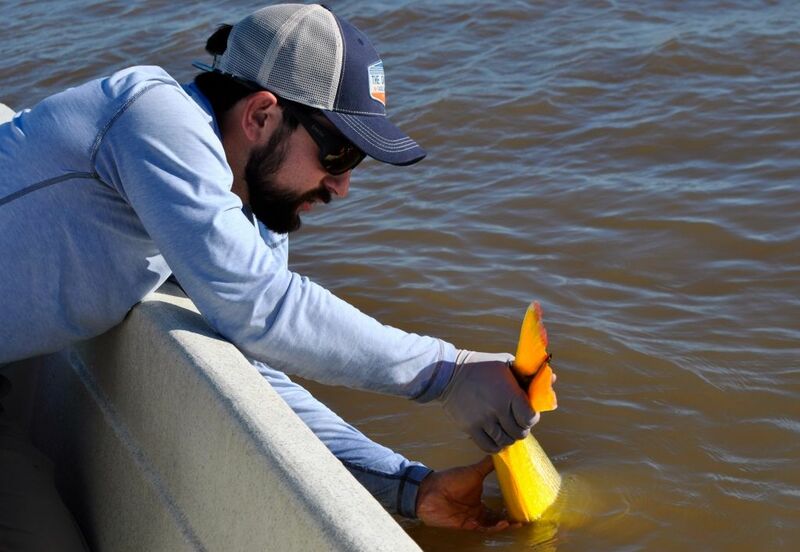 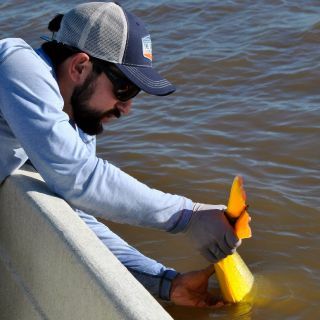 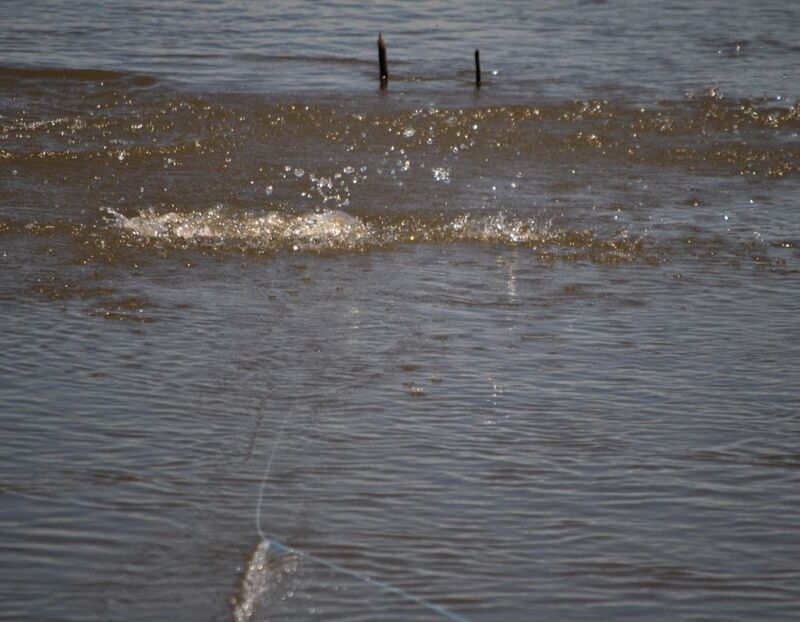 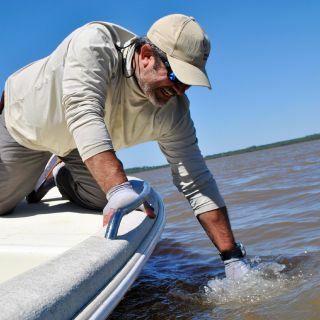 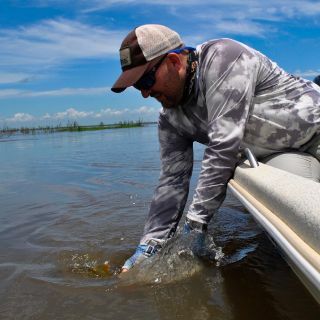 La pesca se da en dos formatos: sobre los palos y barrancas en el cause principal del paraná y en los esteros dentro del delta, lo cual la hace muy interesante y variada.